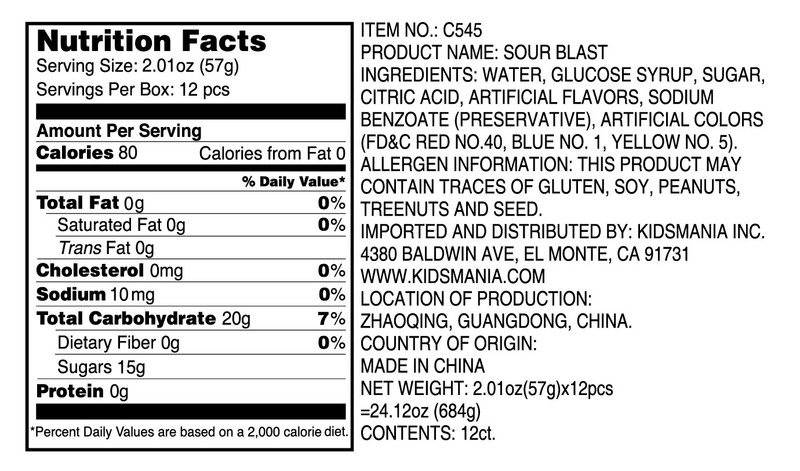 Kidsmania® | We Put the Fun in the Munch! 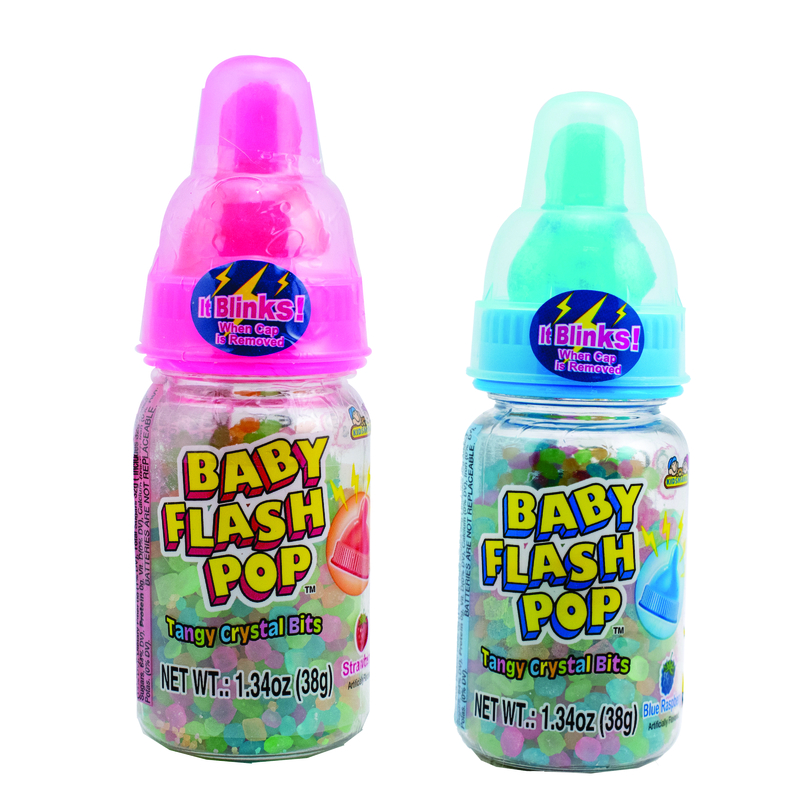 "This little guy comes with hard candy that can be dipped into tasty crystal candy bits. 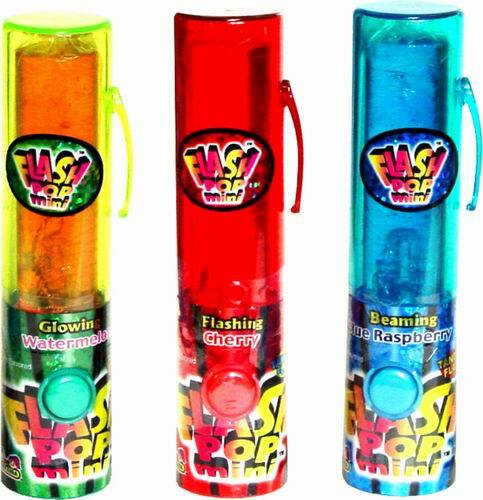 Best of all, as soon as you pop off the cover, the candy lights up! 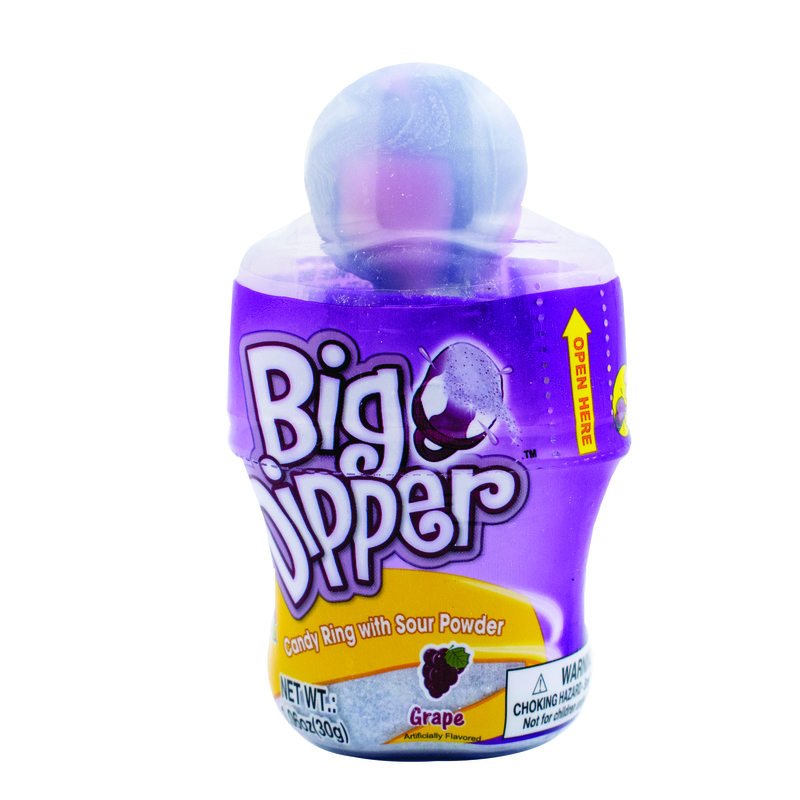 Just' lick, dip, and enjoy! 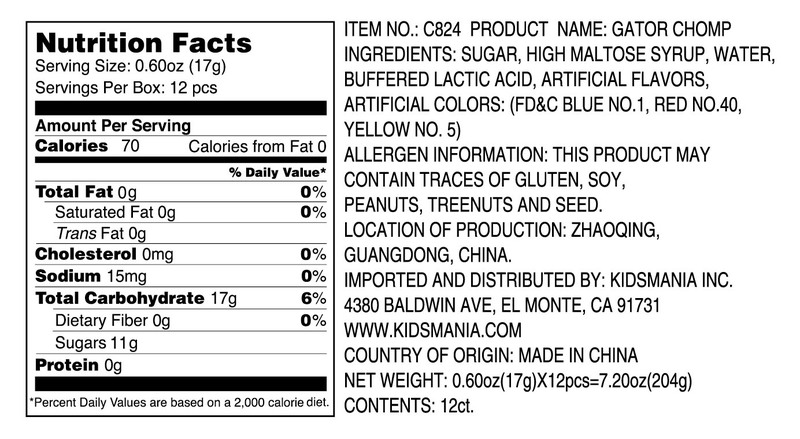 How's that for a baby?!" 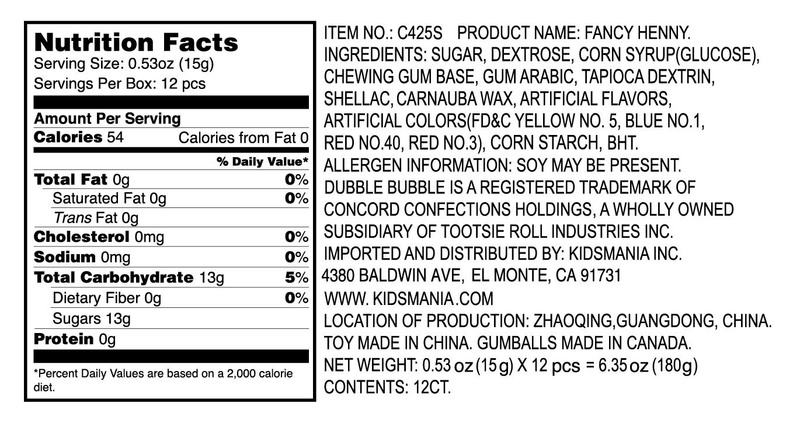 "This sweet candy ring, dips into some sour thing, that is sure to make your tongue zingggg!" 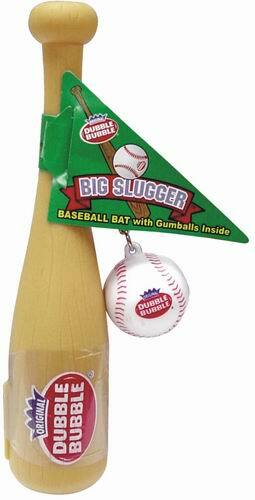 "The Big Slugger comes with a cute little baseball keychain and is packed with sweet Dubble Bubble gumballs! 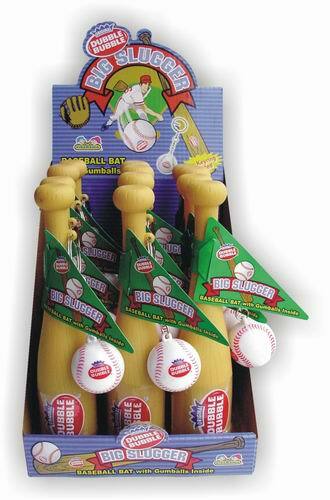 You could even have a swing at them with your mini bat! That'll get you ready for game day!" 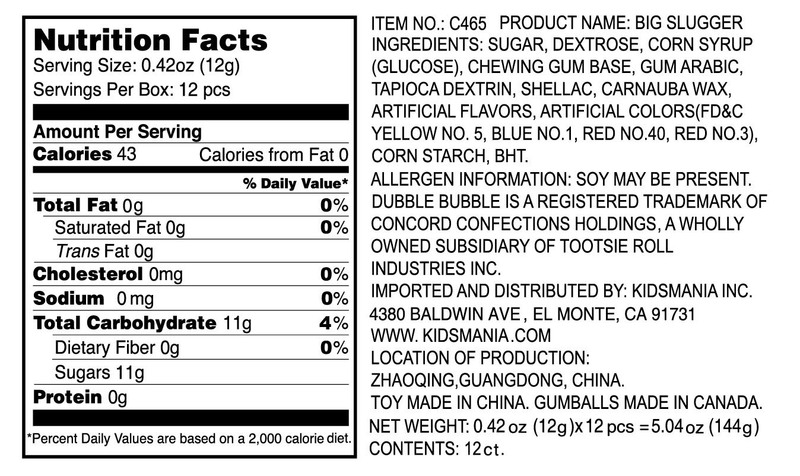 "This Big Spool of bubble gum tape offers 6 feet of delicious fruity gum! 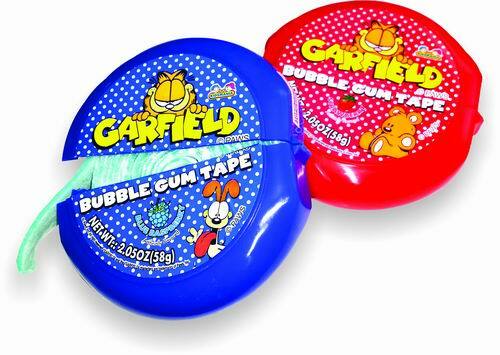 With an easy to use gum tape dispenser, simply pull, cut, and share!" 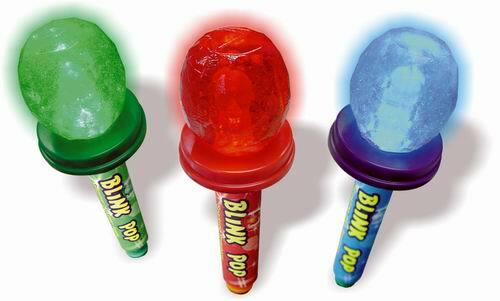 "A blinking lollipop that lights up your tastebuds, too! To turn on, simply push in and turn the knob down below. 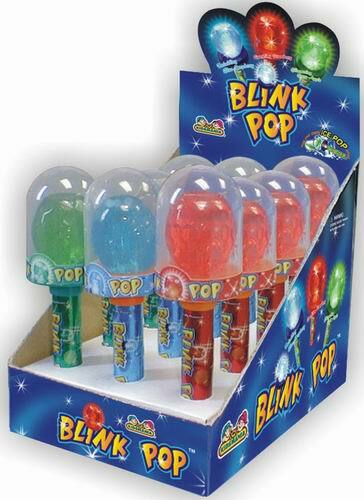 Enjoy these blinking delights in 3 different flavors and colors!" 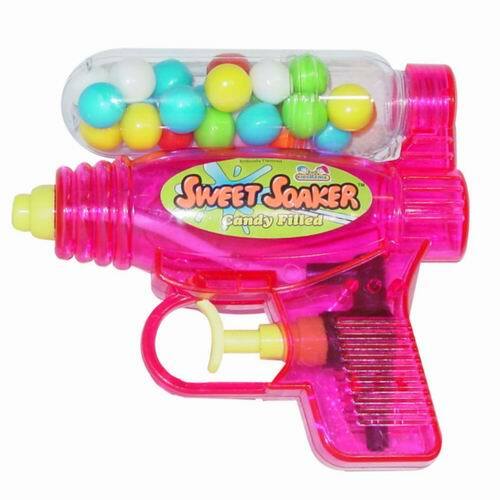 "Have the perfect toy for those very serious water fights. 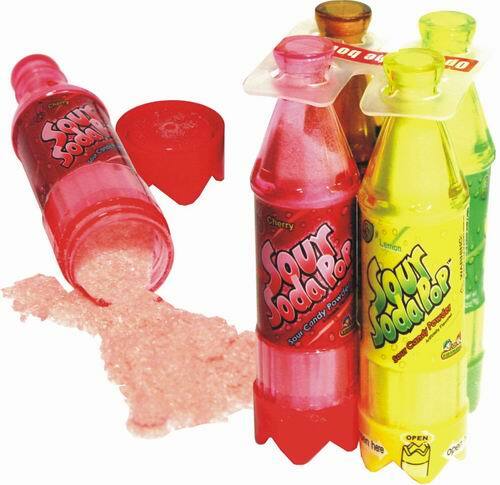 Simply empty out the candy, fill it with water, and have some fun! 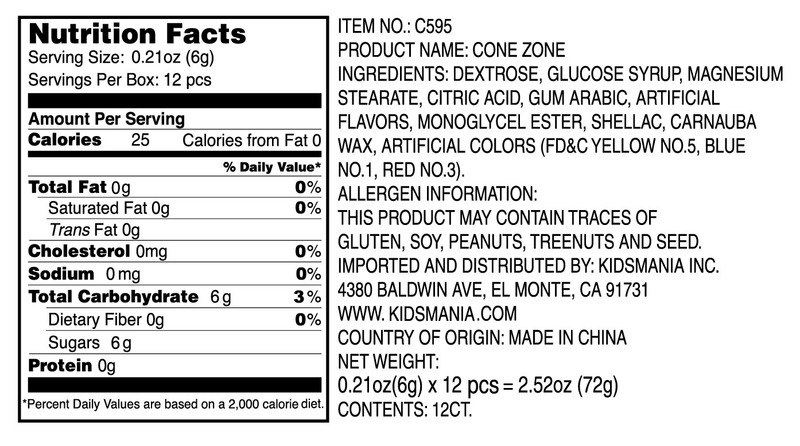 That means you better eat up those gumballs, quick! 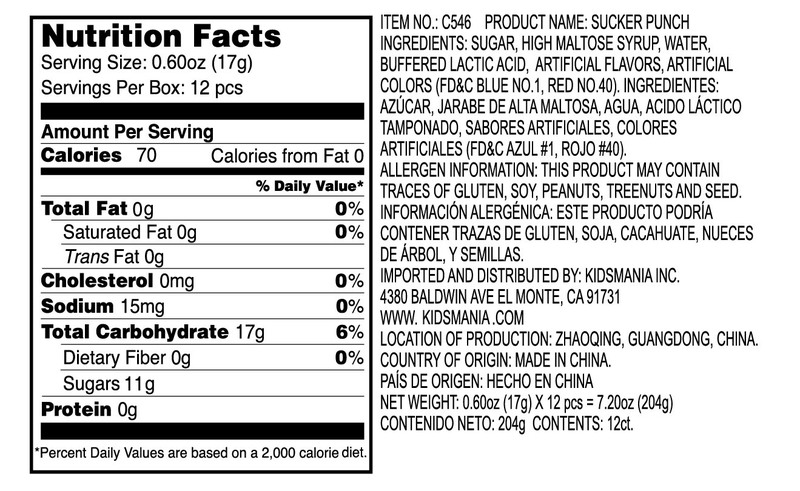 It's ok, it's a good excuse to indulge a little." 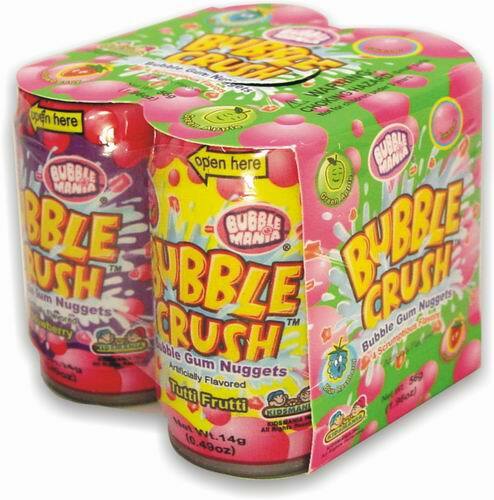 "These cans of yummy bubble gum nuggets are perfect for sharing! 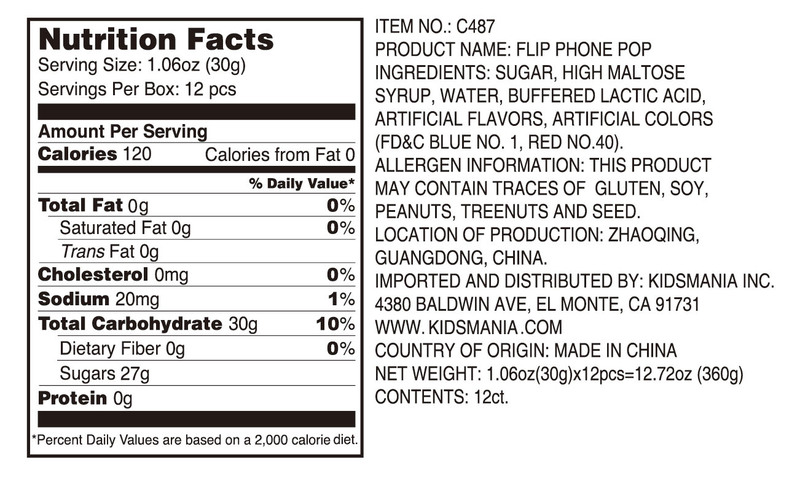 Each item comes with a 4-pack of delicious, fruity flavors!" 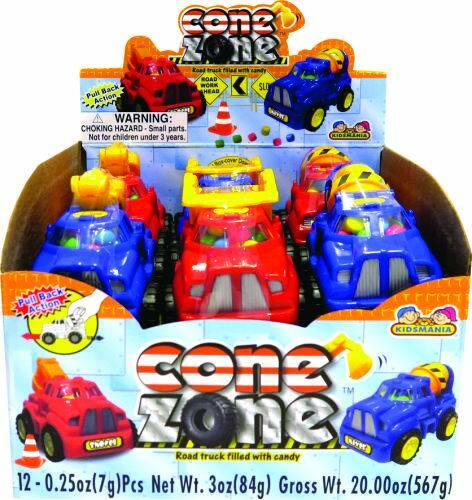 "Set up your own candy work zone with these construction trucks. 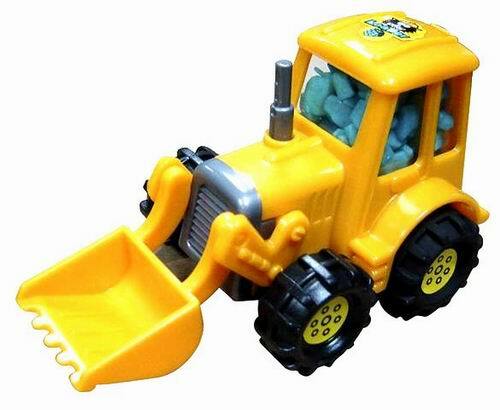 Varieties included are a loader, steamroller, and bulldozer. 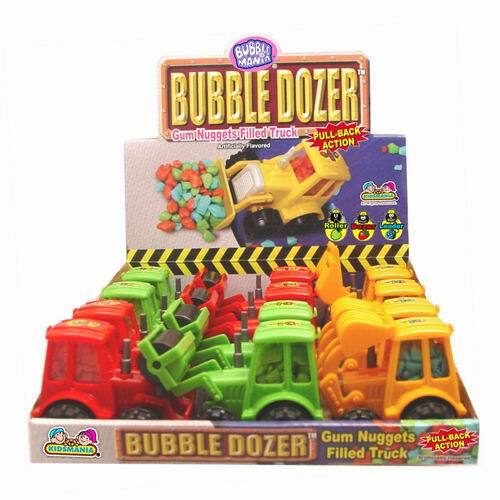 Each vehicle is equipped with pull-back action and a truckload of bubble gum nuggets!" 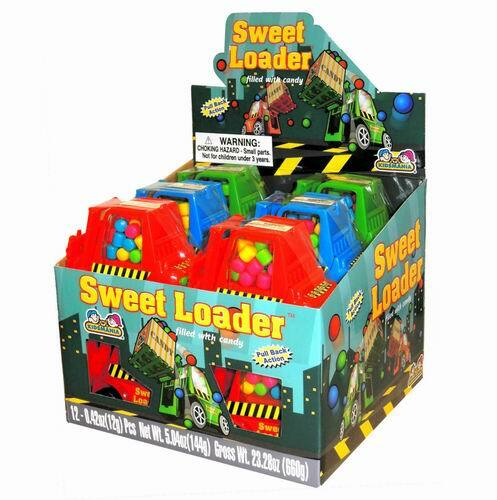 "Dump some delicious candy into your mouth with these fun construction toy trucks! 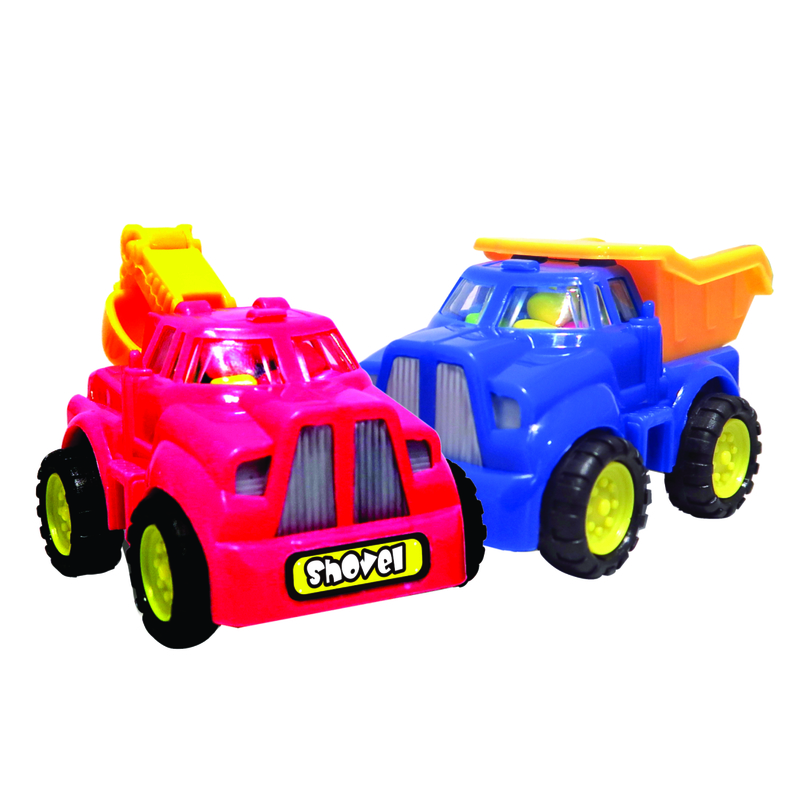 Each box includes the concrete mixer, dump truck, and excavator. 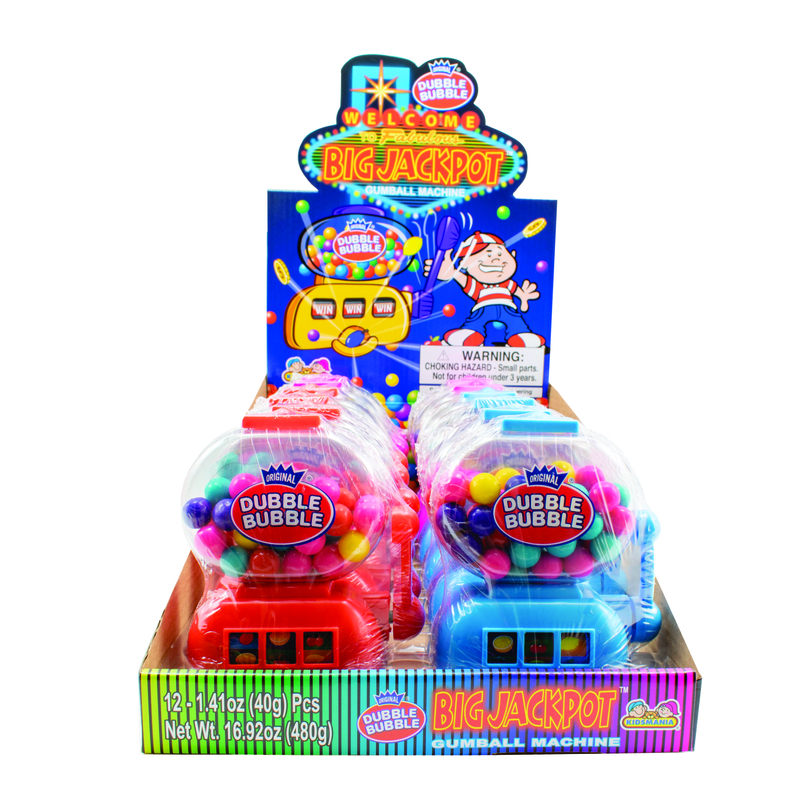 They each have pull back action and are ready to be put to work!" 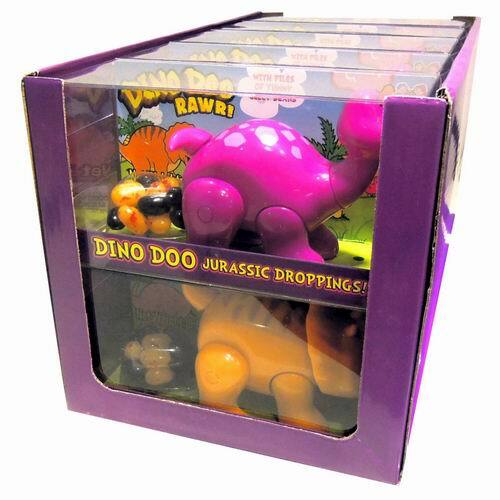 "These cute dinos love to be patted on the back...but we aware of dino droppings! 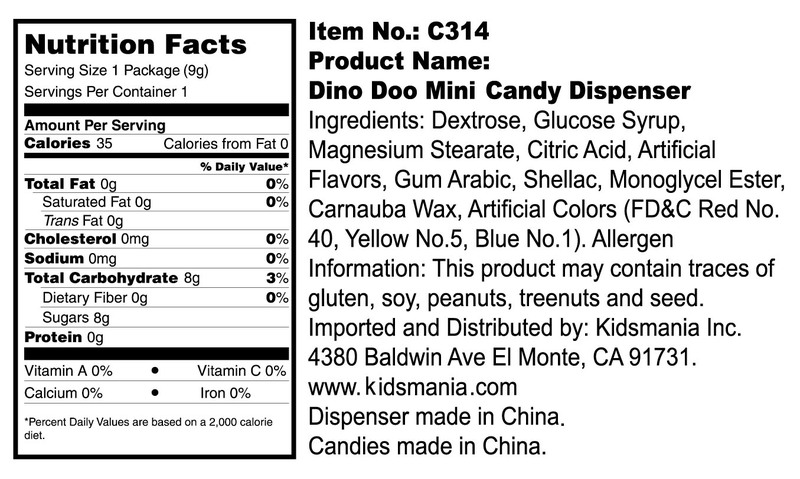 Load up your dino with the sweet candy droppings, and enjoy yourself every time it drops a deuce. It's your duty!" 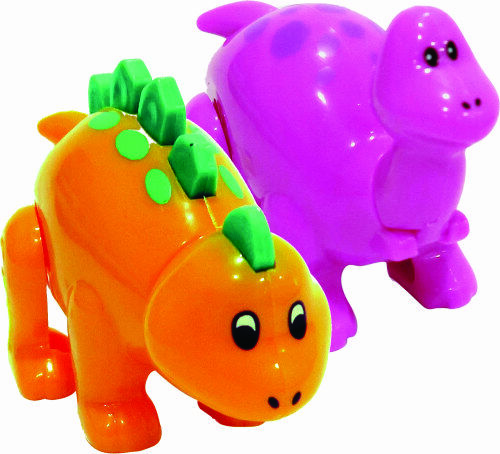 "Inspired by the original Dino Doo, these cute mini dinos are sure to melt your heart. 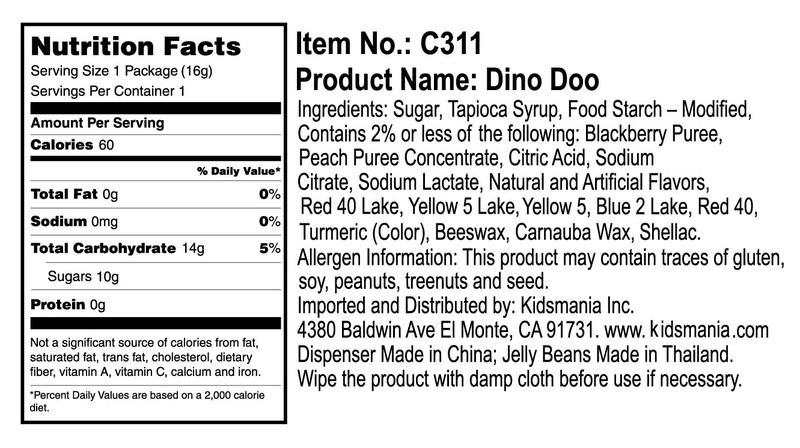 This product comes in a variety of species and each piece includes a bag of sweet "dino droppings" to load up with. 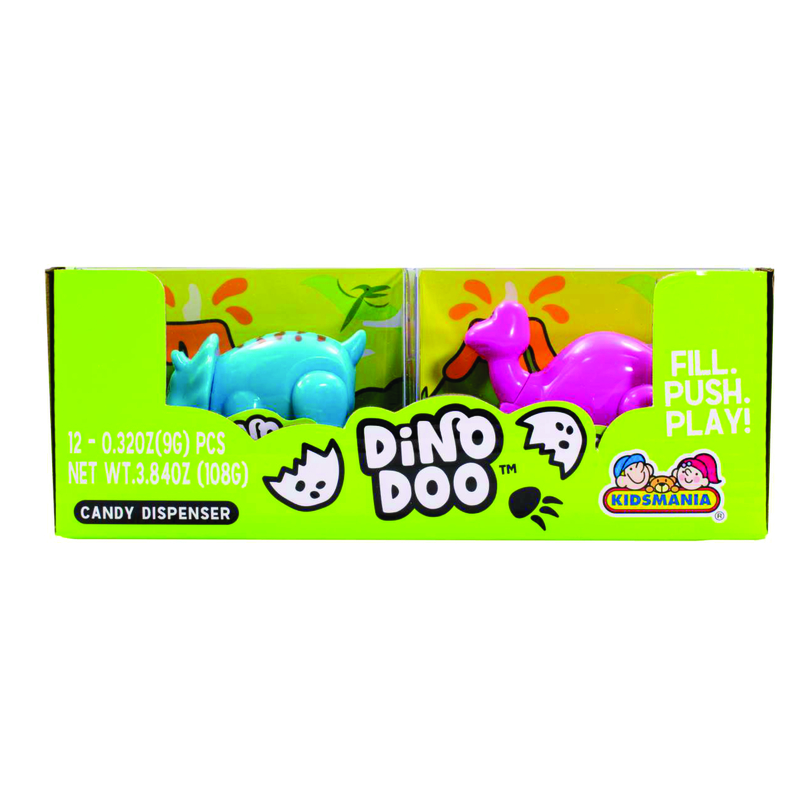 While playing with these little guys, a light push on their back may cause them to release some sweet doodie. 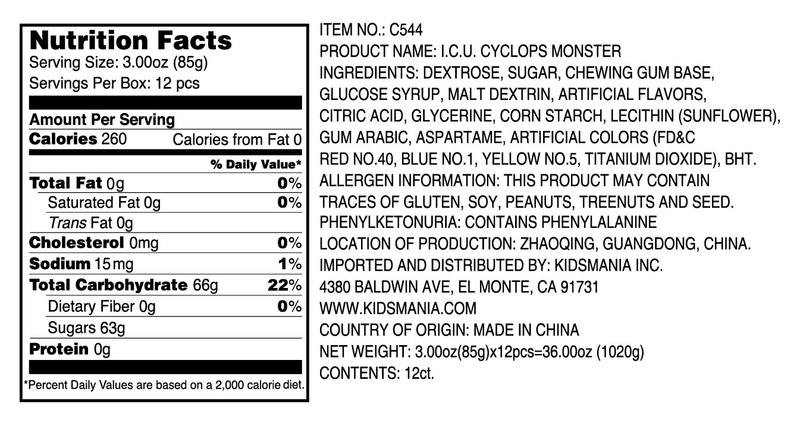 In fact, you might want to consider collecting the whole family of dinos, big and small!" 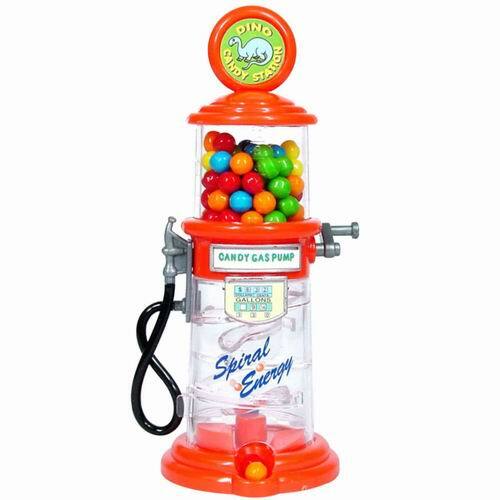 "What's not to love about this cute mini gumball dispenser. 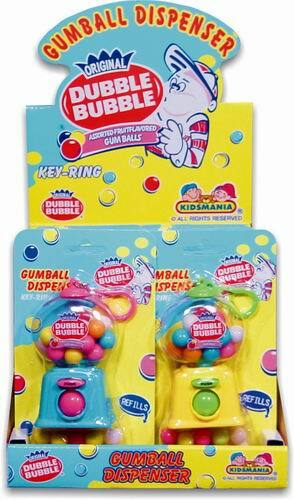 Filled with Dubble Bubble gumballs and equipped with a handy keychain, take your sweet tooth with you on the go!" 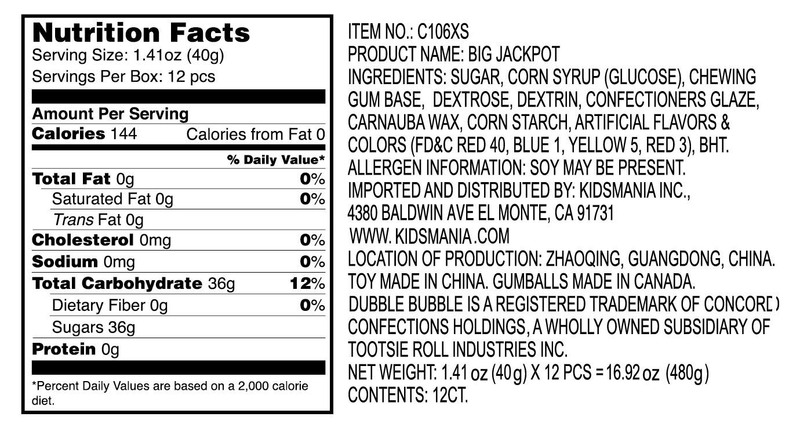 "Try your luck at this guilt-free candy jackpot! 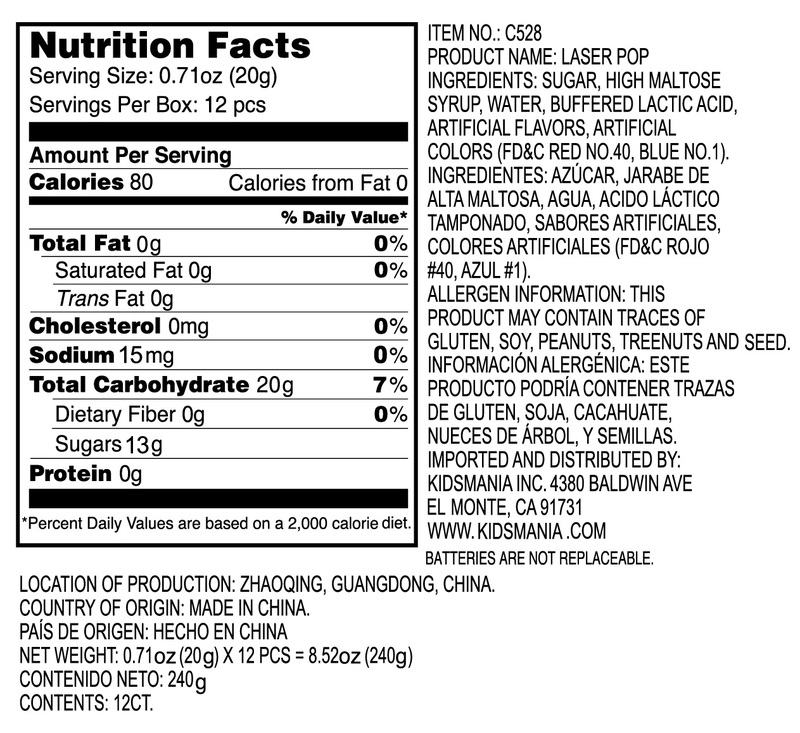 Pull down on the lever to see what you win! 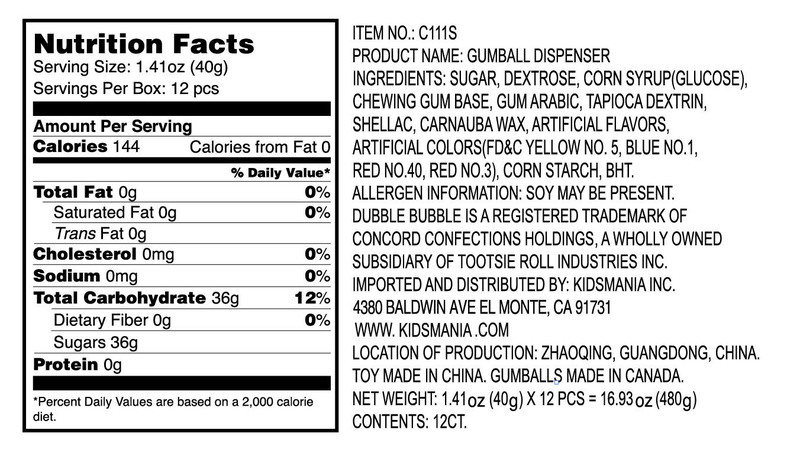 Don't worry though, regardless of your spin, you'll win a gumball every time!" 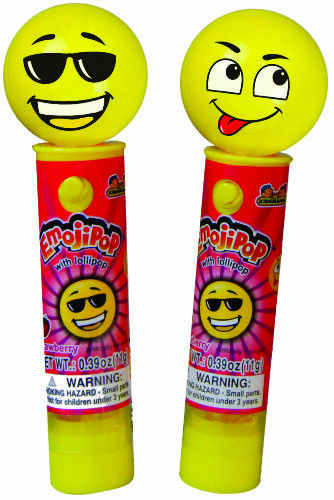 "Go ahead and LOL with these silly Emoji Pops! 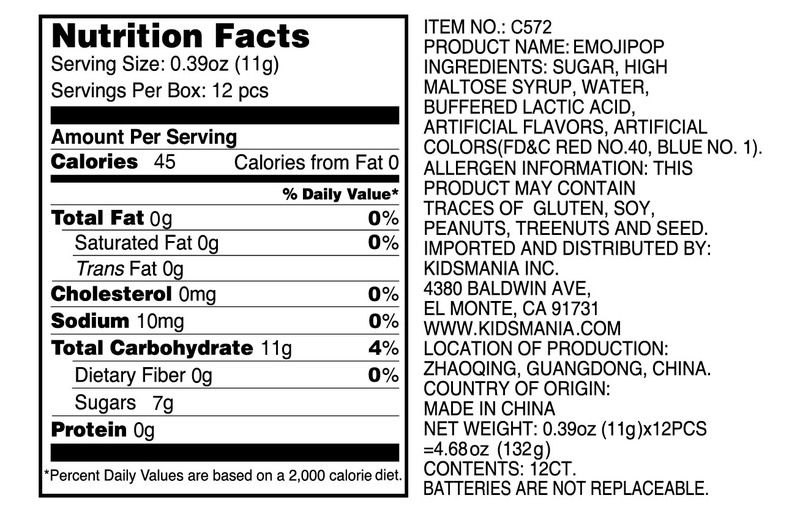 Each one comes in a choice of 3 different candy flavors and a variety of emoji expressions! 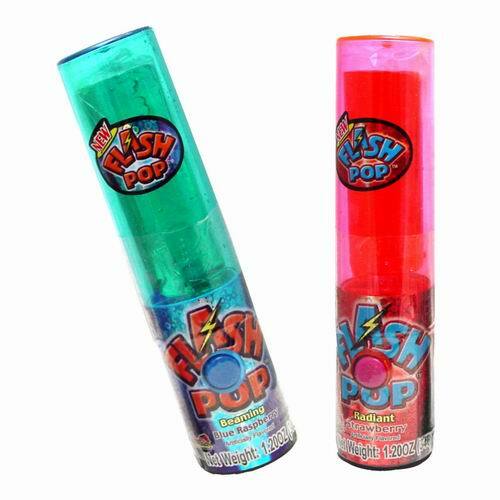 On top of that, their faces light up with the push of a button! 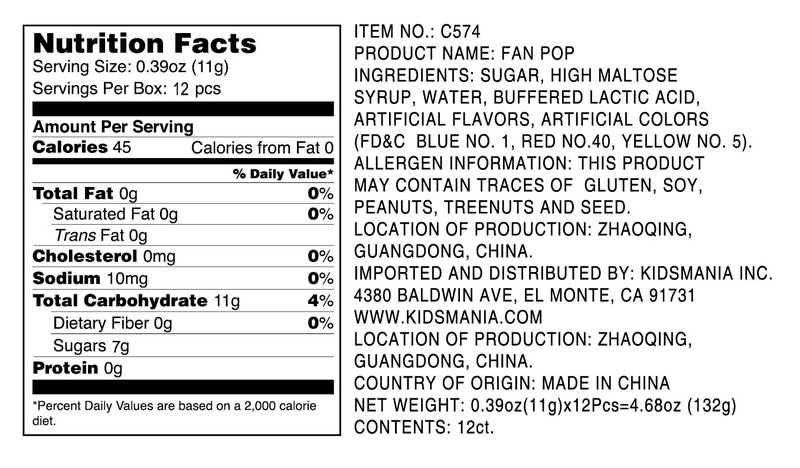 What better way to show how you feel than with an emoji lollipop! " 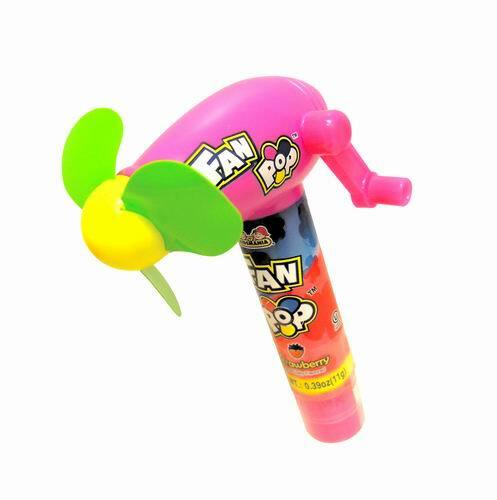 "Cool yourself down on a hot day with the Fan Pop! 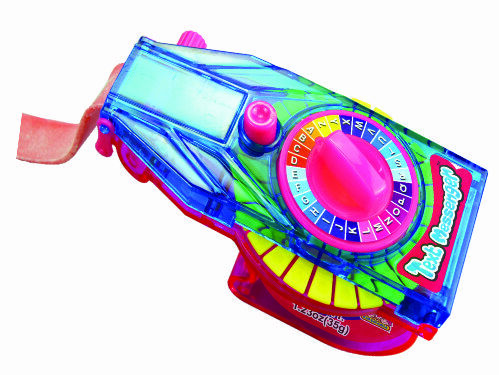 No batteries are required, but a little cranking by hand is needed to make it spin. 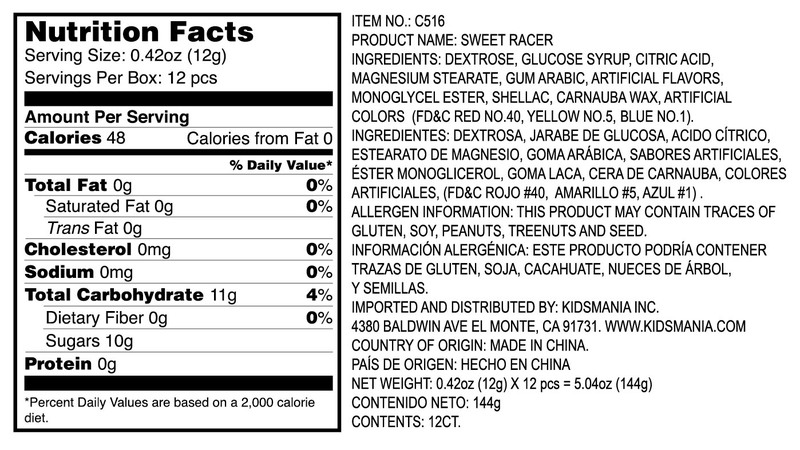 Afterwards, treat yourself to a sweet, fruity candy!" 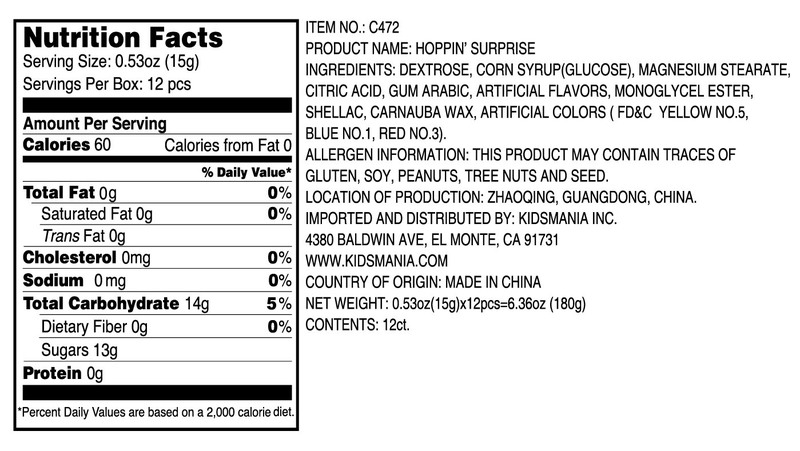 "The hen is out of the henhouse! 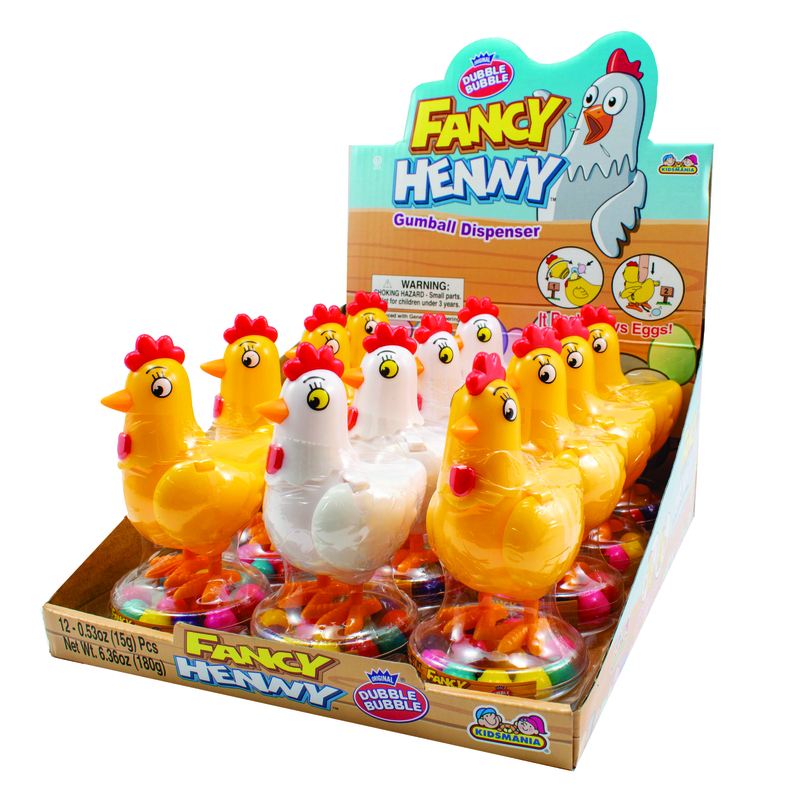 This little henny has lots of eggs to lay! 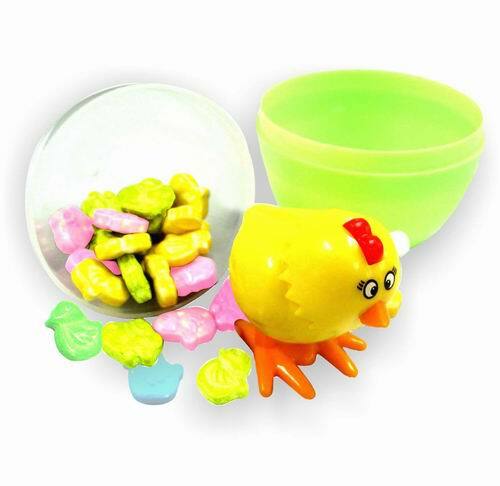 Simply fill her up with the yummy candy eggs, and push down on her head for a sweet "egg-cellent" treat!" 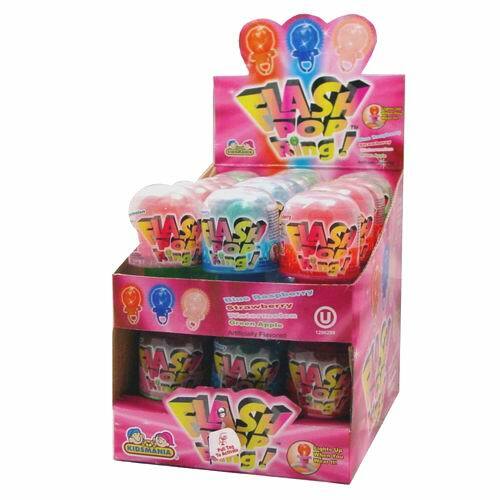 "The long-time loved Flash Pop is easily a favorite among the kids! 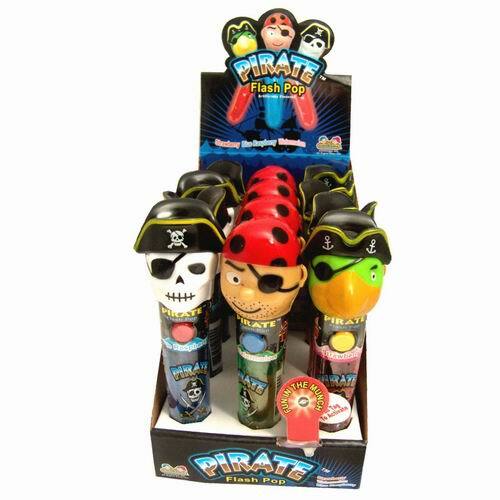 It includes a tasty cylindrical lollipop that lights up with the push of a button! 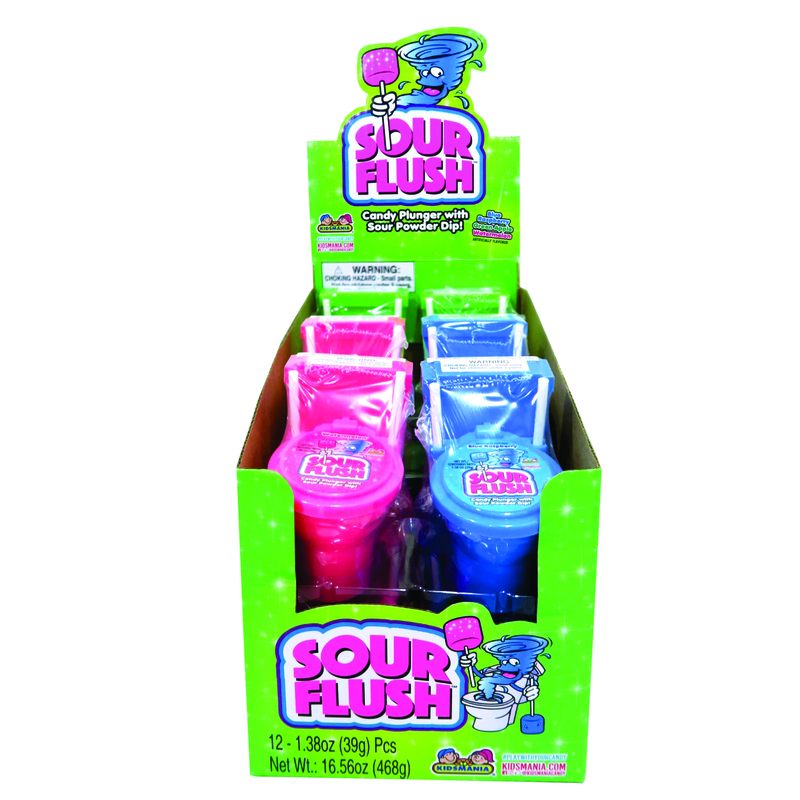 Great for any sweet occasion and comes in 3 great flavors and colors." 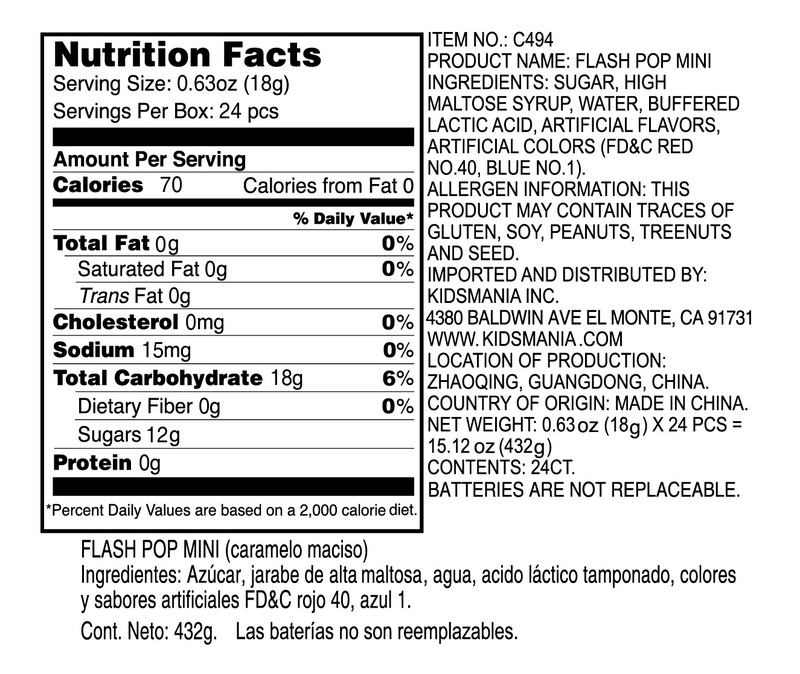 "Here's a cute mini version of the well-loved original Flash Pop! 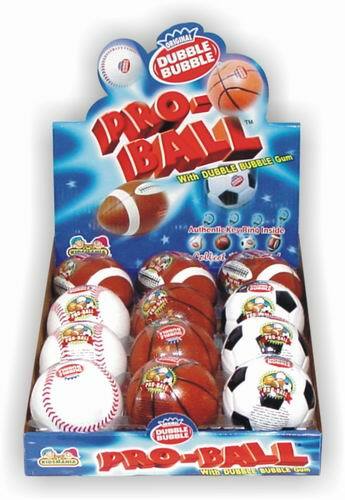 Same great taste and light-up fun, just packed into a smaller size. 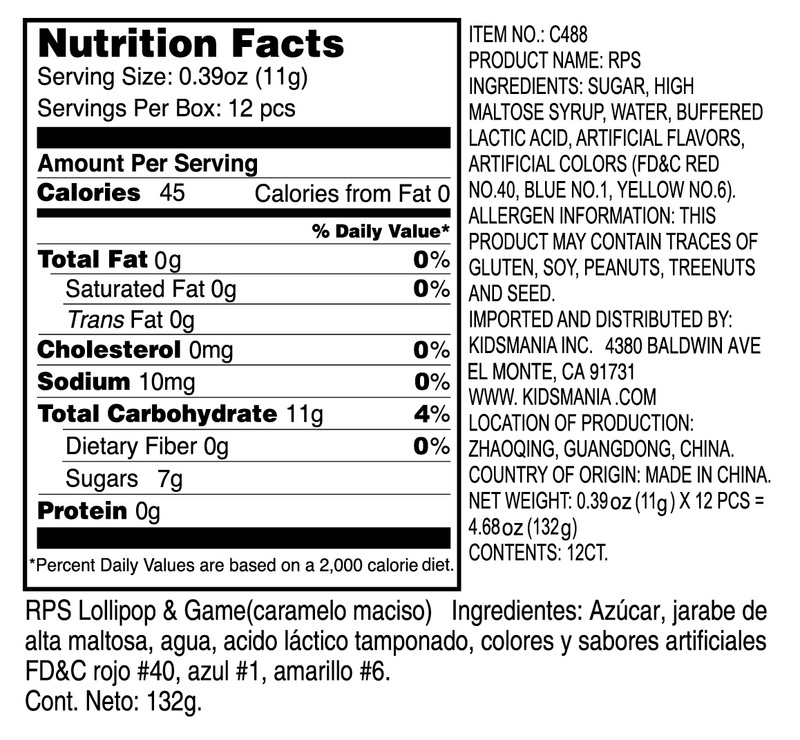 It comes in 3 different colors and flavors." 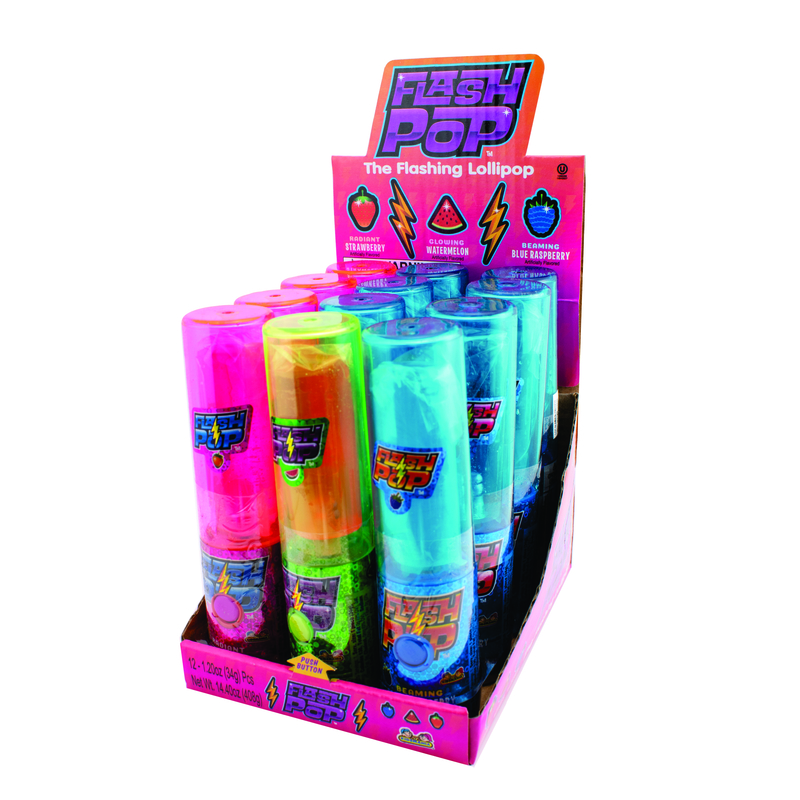 "Flash around the brightest piece of bling with the Flash Pop Ring! 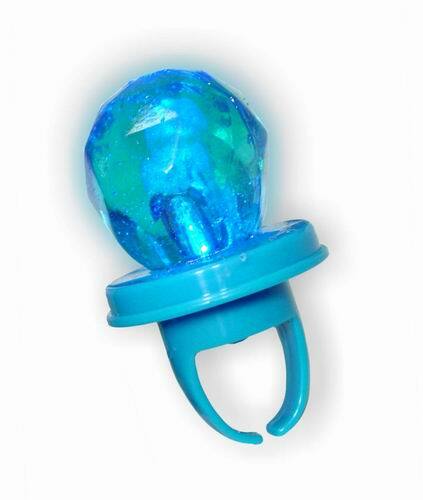 This yummy candy ring lights up when you put your finger in! 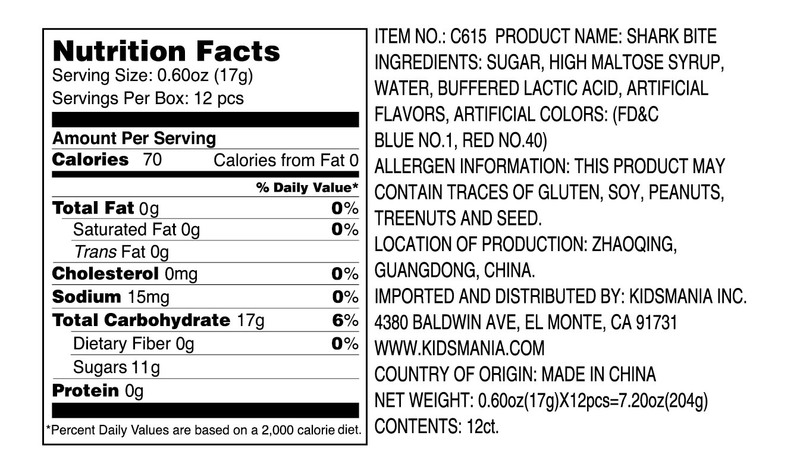 It comes in 3 colors and flavors." 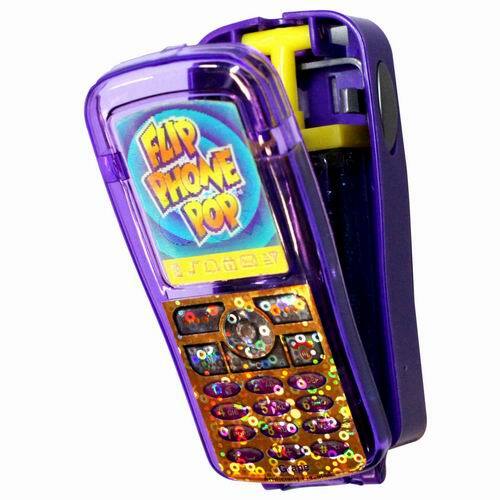 "Flip phones are not yet a thing of the past. 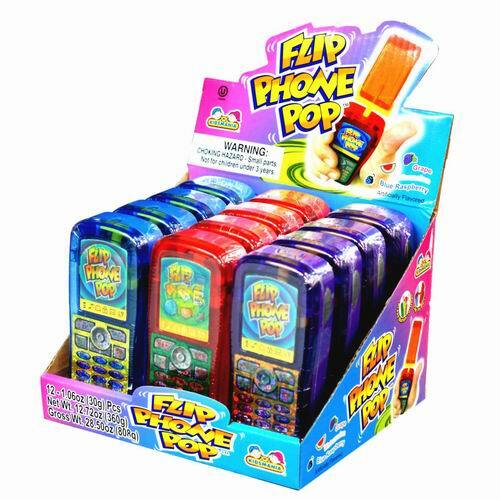 Play telephone with this toy cell phone that also flips opens up into a tasty lollipop!" 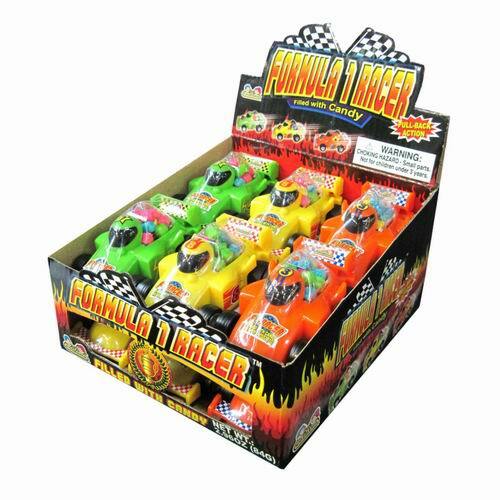 "Pick up some speed with these F1 candy racers! 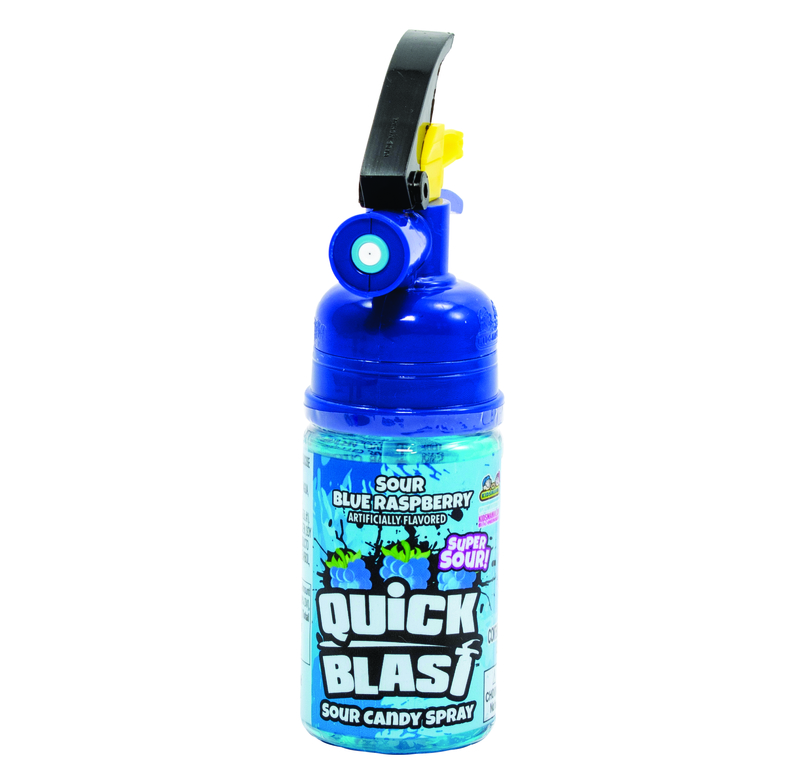 Filled with candy and equipped with pull-back action, fast fun is guaranteed! 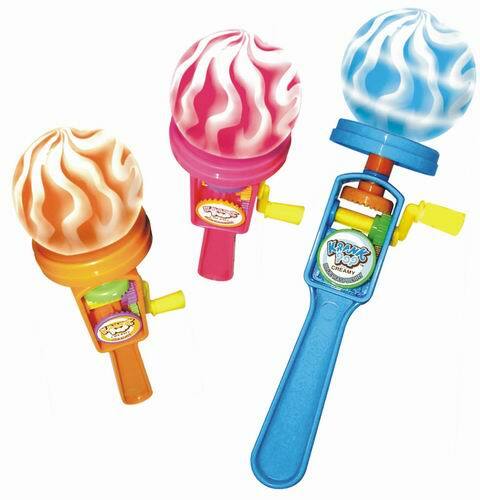 It comes in a variety of 3 different colors." 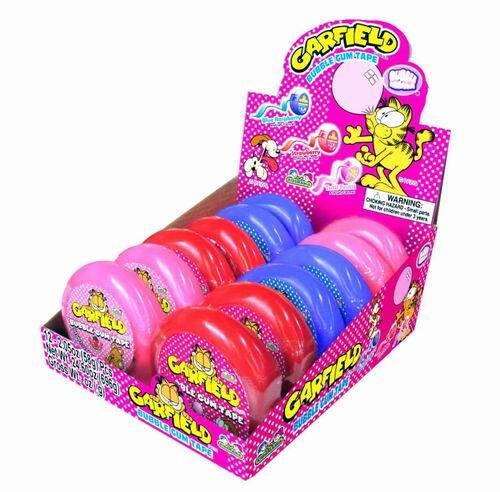 "Garfield wants to share some bubble gum with you. 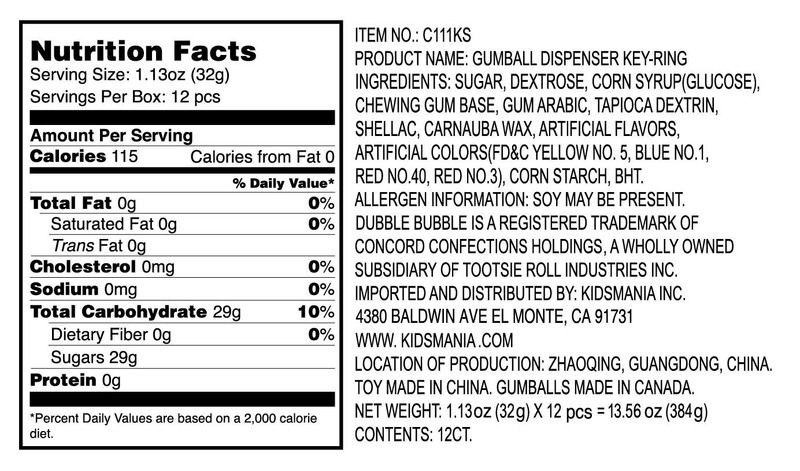 Go ahead, push on the dispenser button and see what comes out...GUM!" 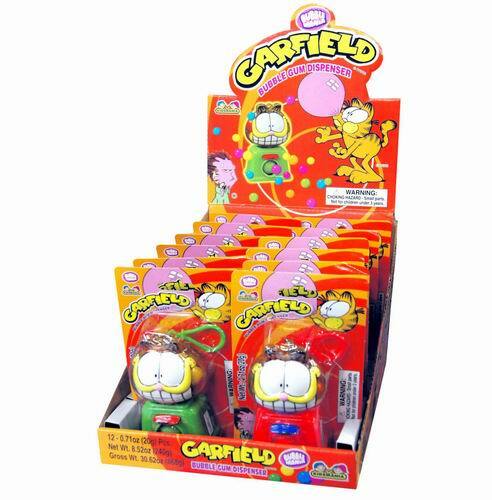 "Brighten up your Mondays with your very own roll of Garfield Gum Tape! 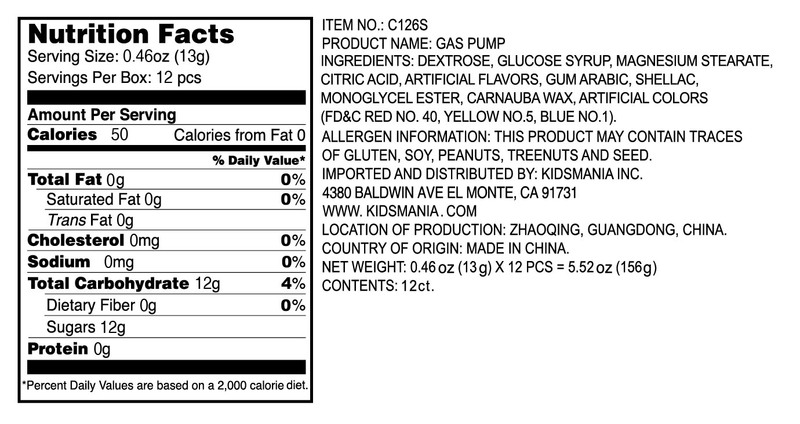 It comes in 3 fruity flavors, lasagna not included." 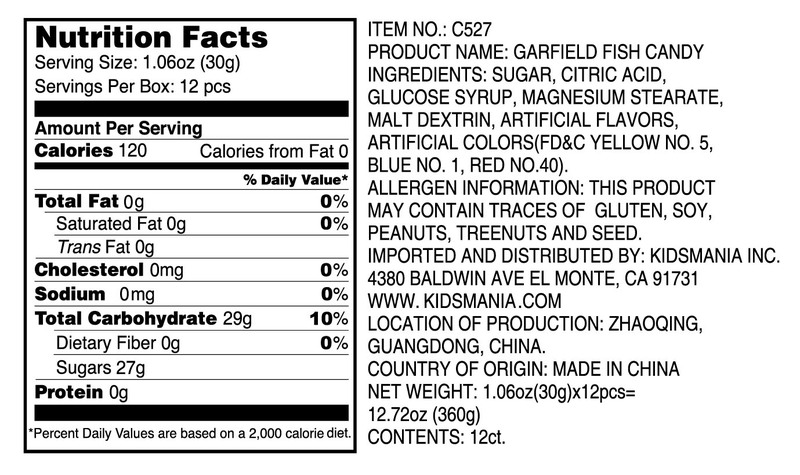 C527 - Garfield: Got Fish? 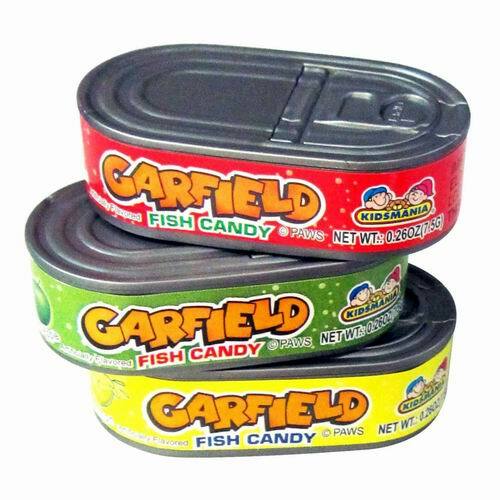 "Chow down like Garfield on these yummy cans of candy fish. 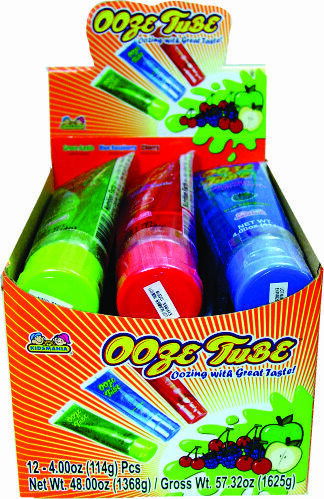 Each pack comes with 3 fruity flavors that maybe even Odie would like!" "Running low on fuel? 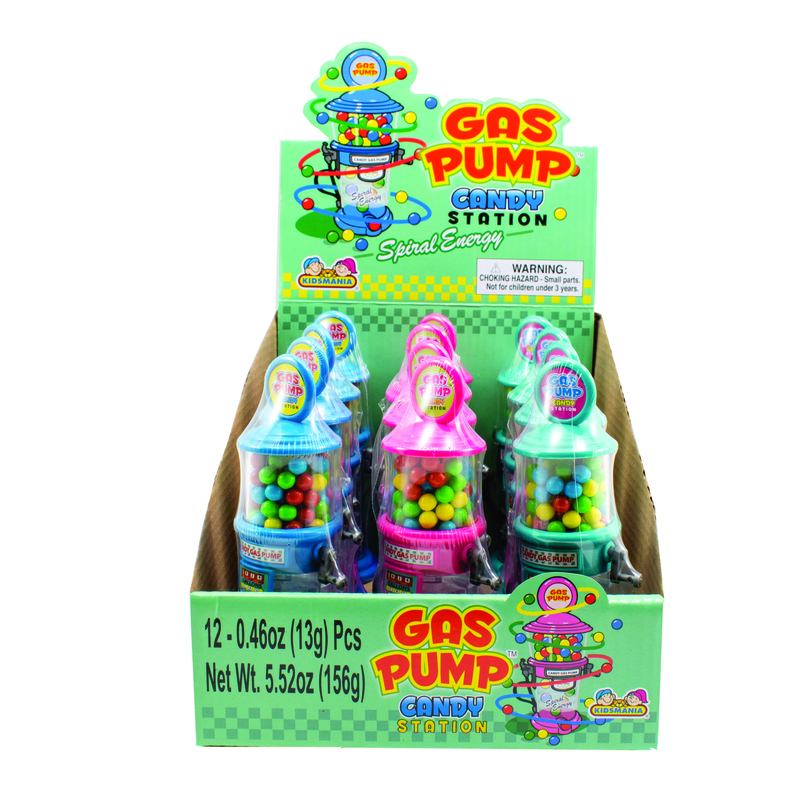 Take a pit stop and refuel with this candy Gas Pump! 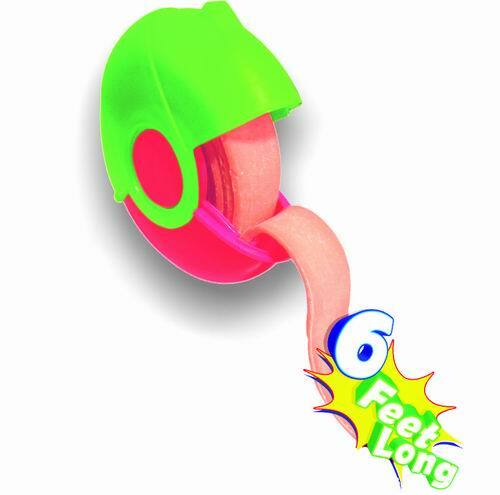 Just spin the lever and watch it spiral down into your mouth. 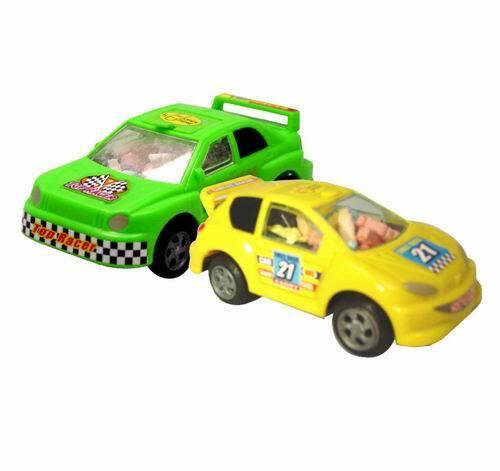 The perfect toy to complete your toy car collection! 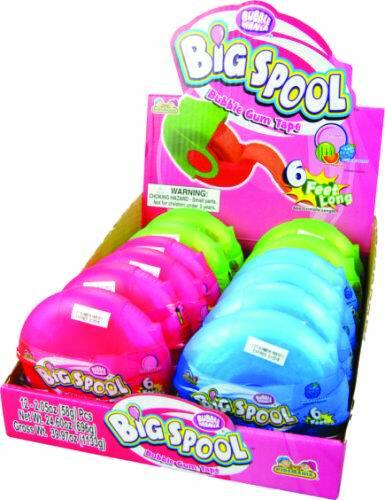 It comes in a variety of colors." 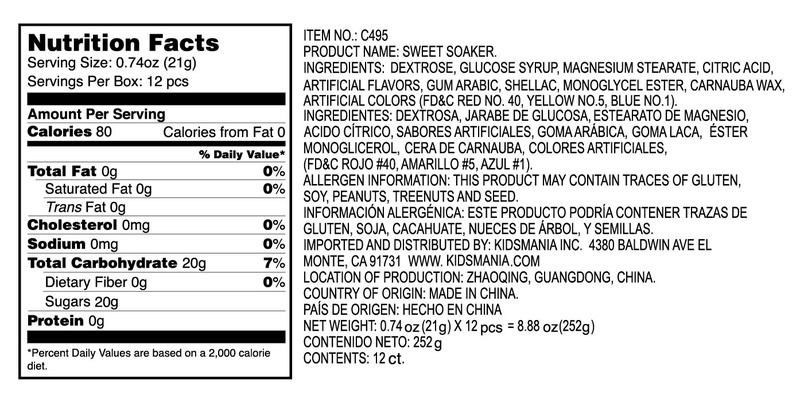 "Watch out! 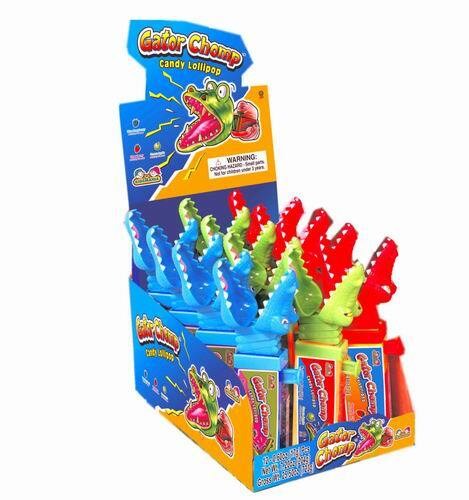 This gator is coming out to chomp! 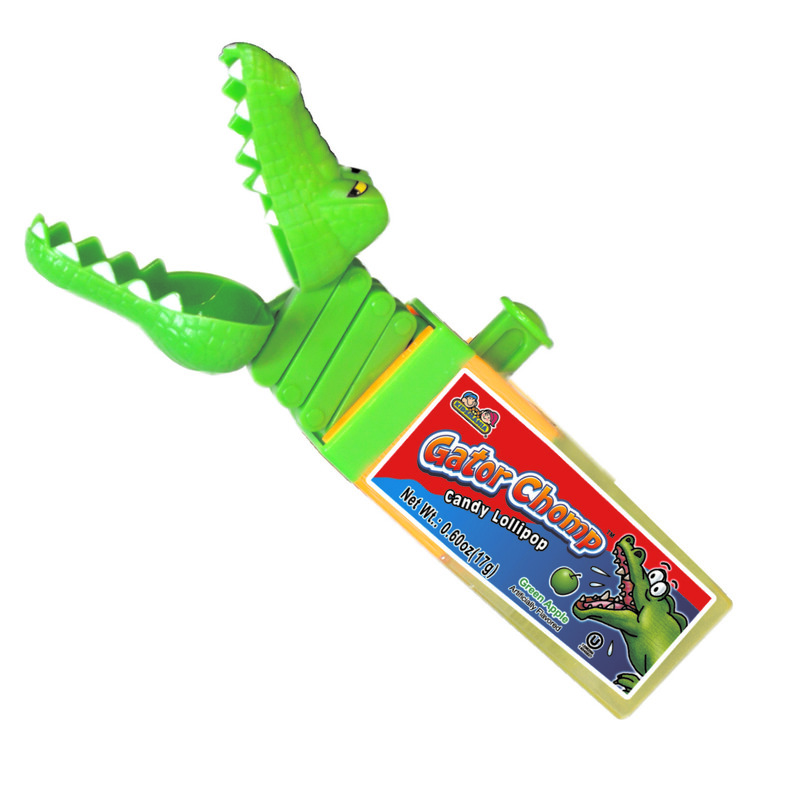 With the push of a button, this gator head extends and chomps on whatever is in its path. 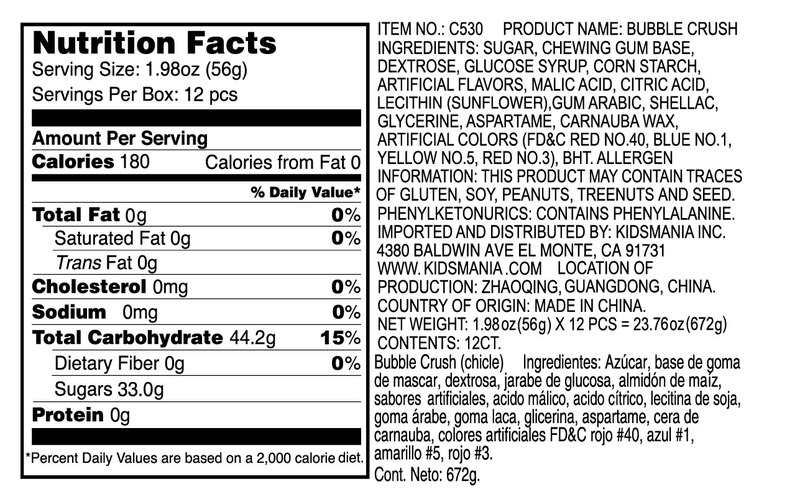 Later gator, I want some of that sweet candy!" "Next time you hear, "Hands off! 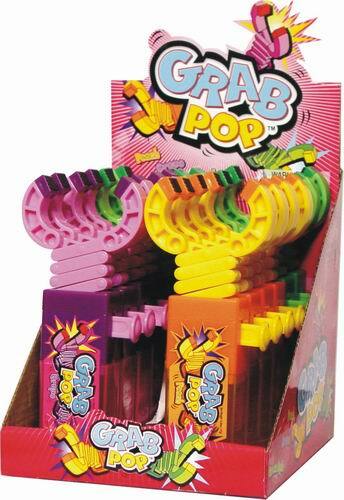 ", go at it with the grab pop! 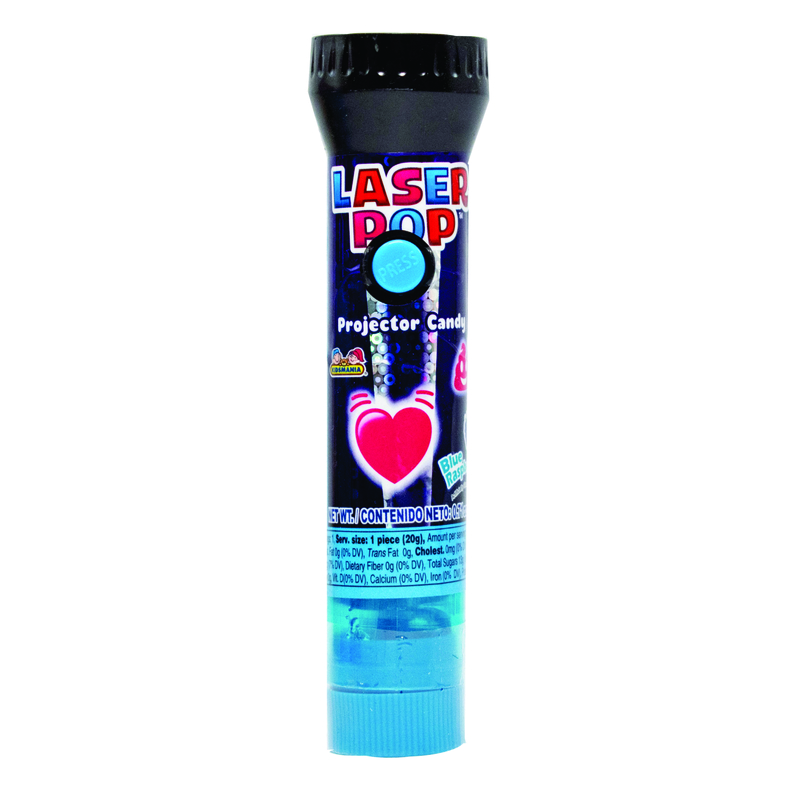 Simply push on the button to extend the perfect grabber. 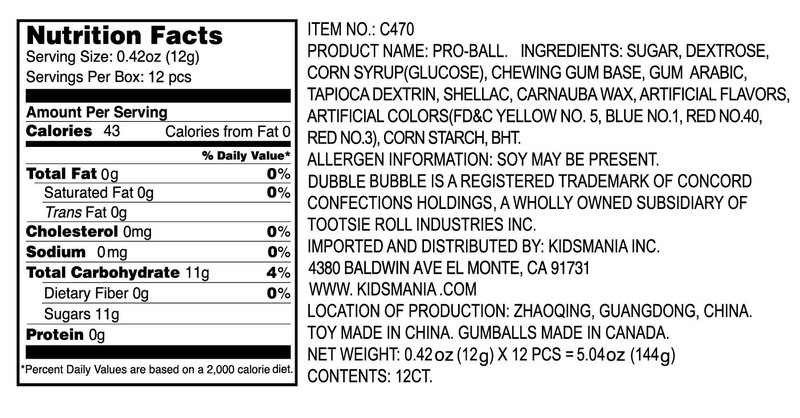 Don't worry, the candy will make everything better." 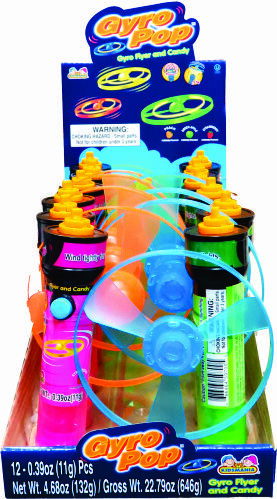 "This awesome toy is sure to offer some quality outdoor fun. 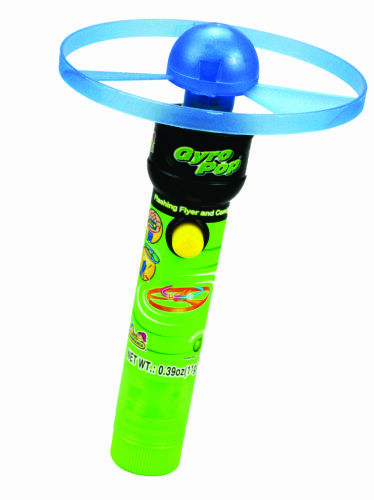 Equipped with a gyroscope and a wind-up launcher, this spinning gyro will launch high into the air by the push of a button! 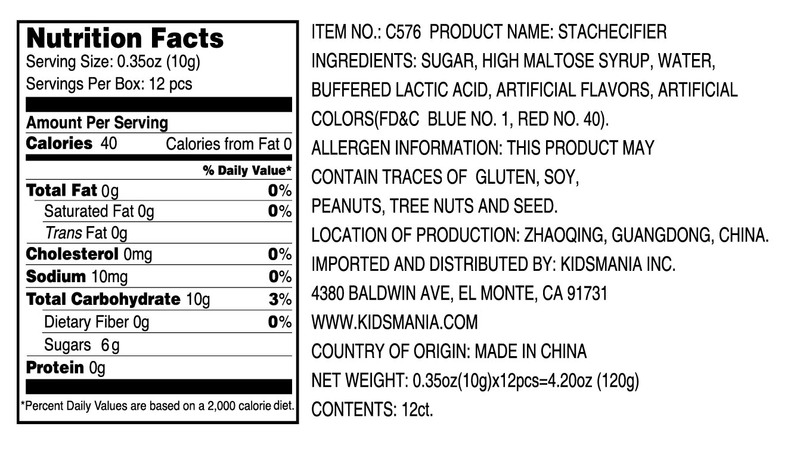 It also comes with candy!" 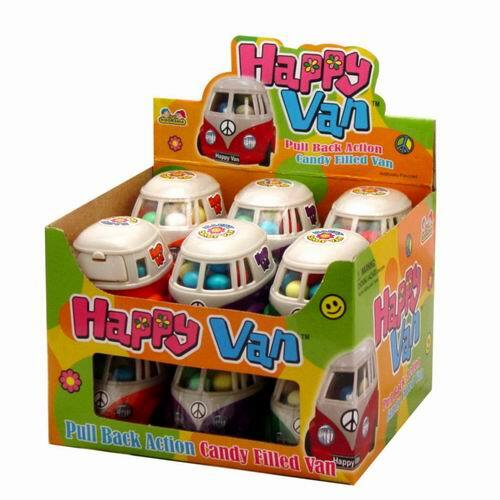 "Keep on truckin' with this happy candy-filled van. 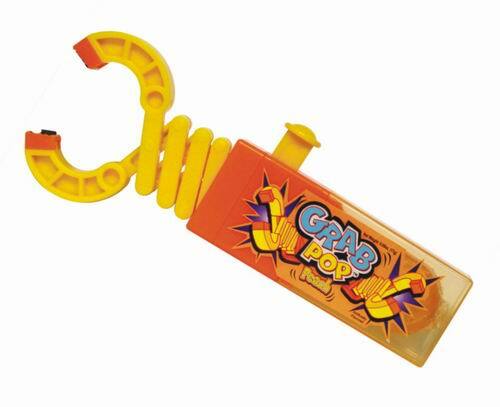 Simply place it on the ground, pull back, and watch it groove away. Can ya' dig it?" 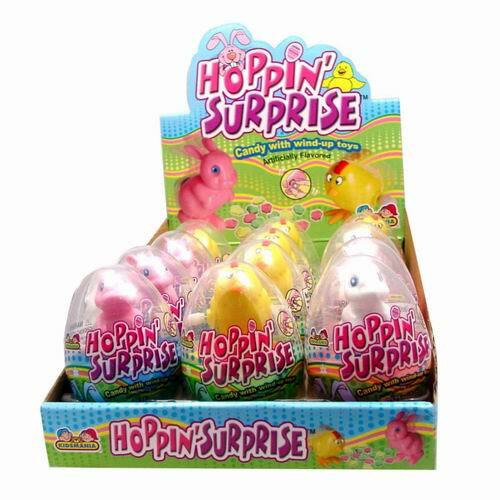 "Crack open these plastic eggs to find some delicious candy and little hopping chicks and bunnies! 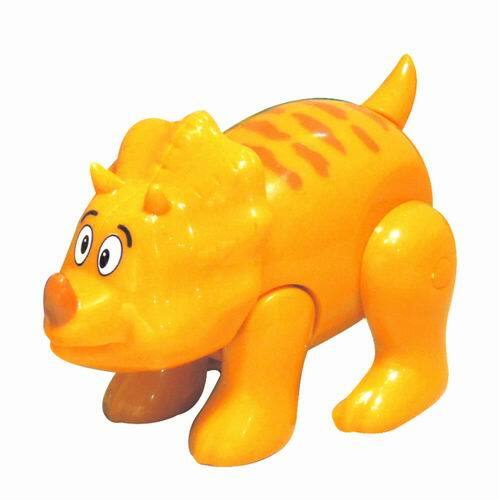 Each toy is equipped with a wind-up function that will ensure some good hopping fun!" 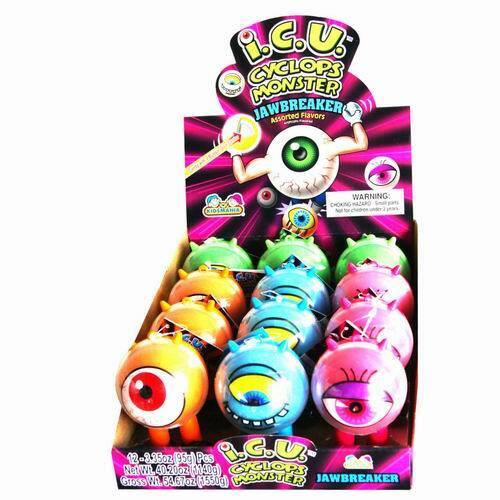 "These little one-eyed monsters come packed with a delicious long-lasting jawbreaker candy! 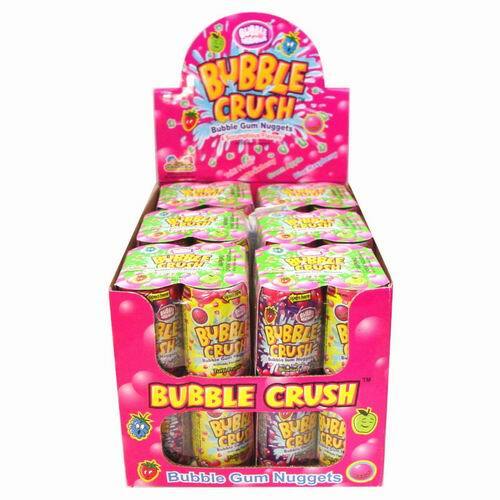 Enjoy what you want, then save it in its container until the next time you are ready to have a go at reaching the bubble gum core." 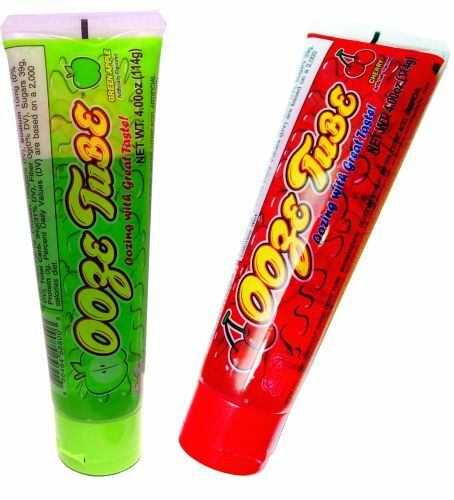 "Ever get tired of sucking your lollipop the same ol' boring way? That's what we thought. 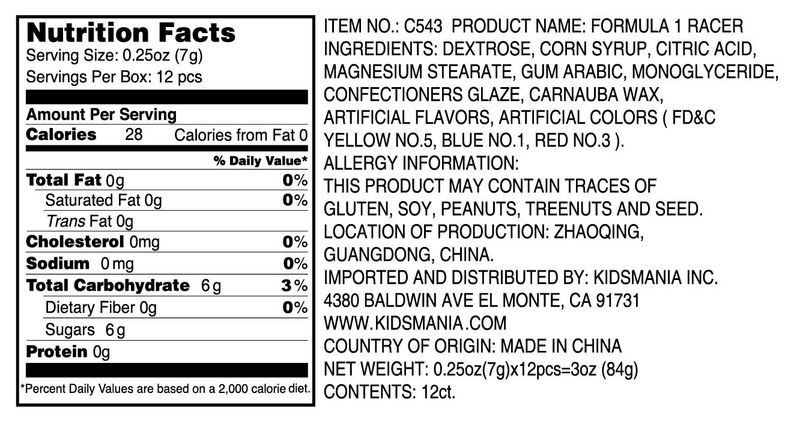 Look no more, here's just what you're looking for! 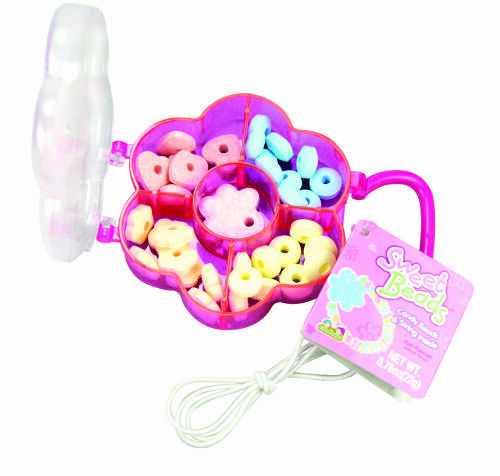 Just place the candy in your mouth, and turn the crank to spin it! 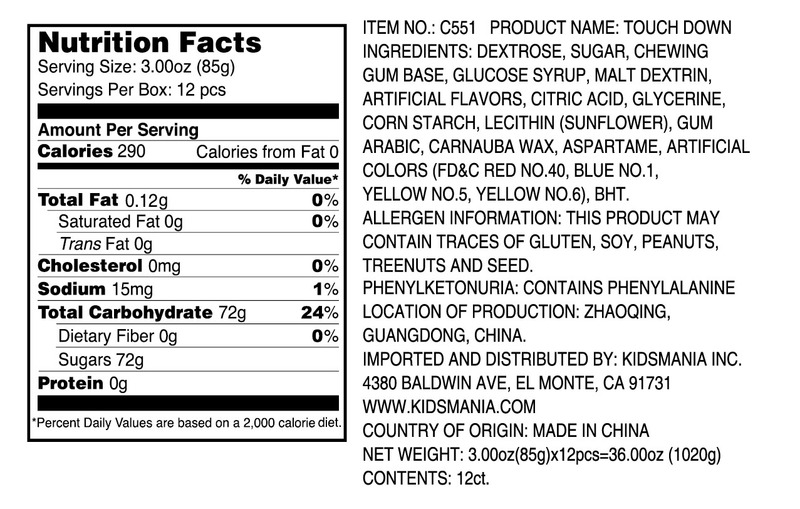 Try it in 3 different flavors!" 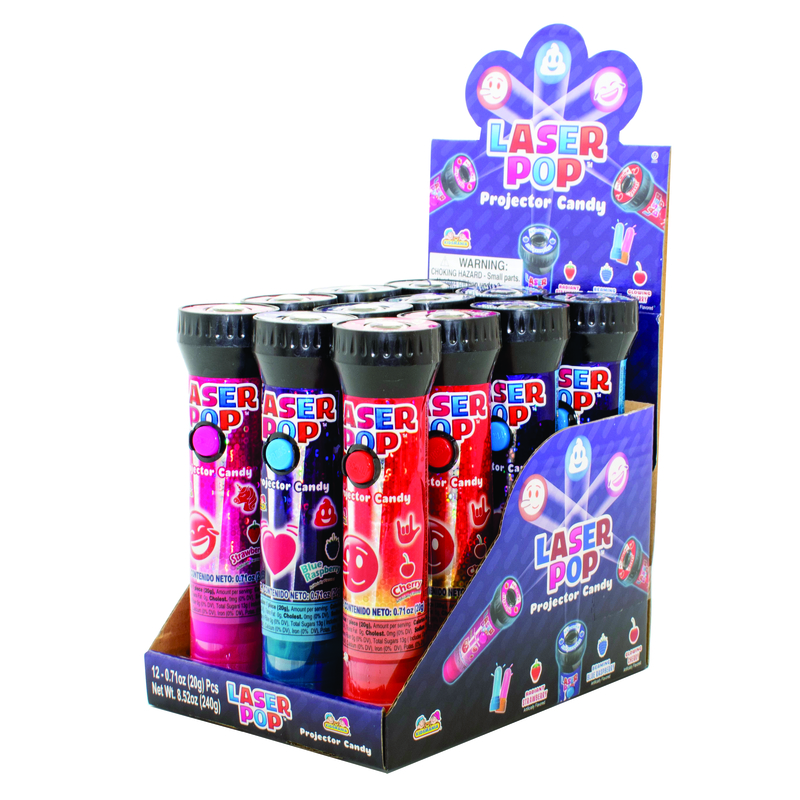 "Beam out cool laser images from these Laser projecting lollipops! 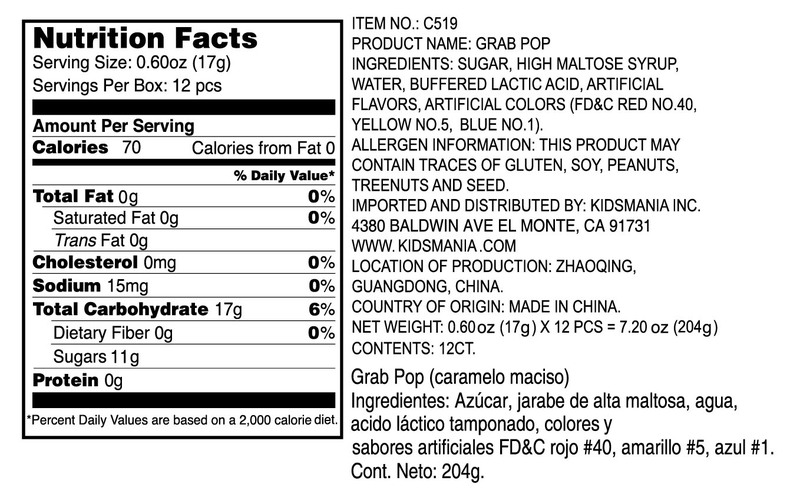 Simply push down on the button and point towards a clear background to see what image is stored in your pop! 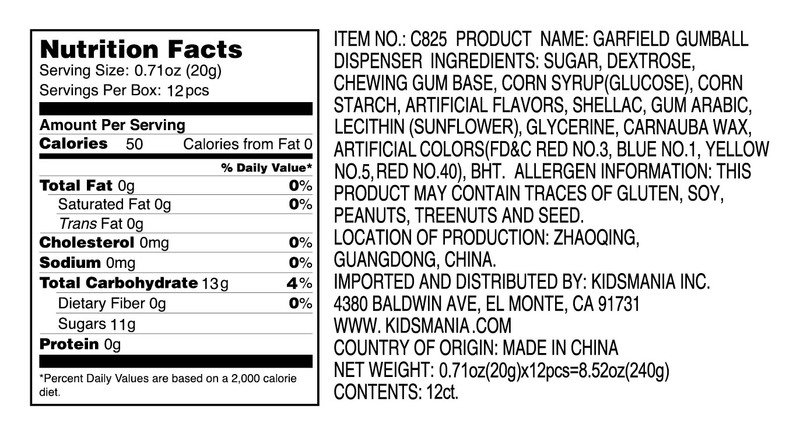 It comes in 3 colors and flavors." 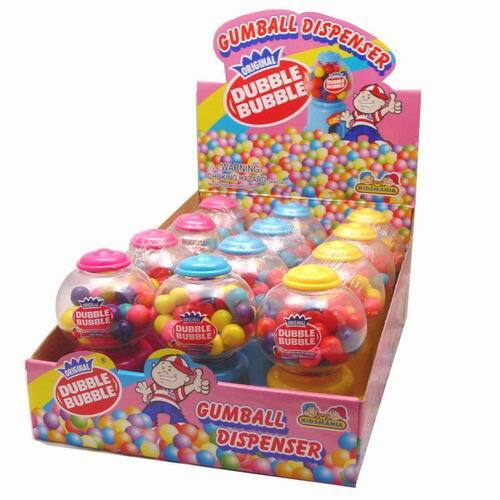 "Are you a gumball fan? 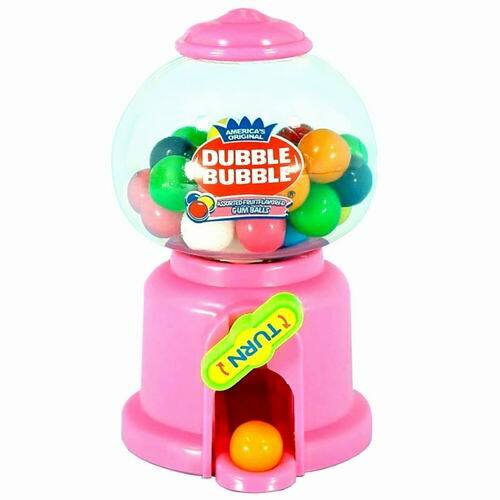 Enjoy as many yummy Dubble Bubble gumballs with your own personal mini gumball machine! 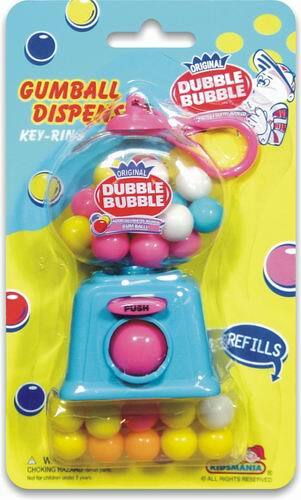 Turn the knob to dispense and share. Of course, no coins necessary." 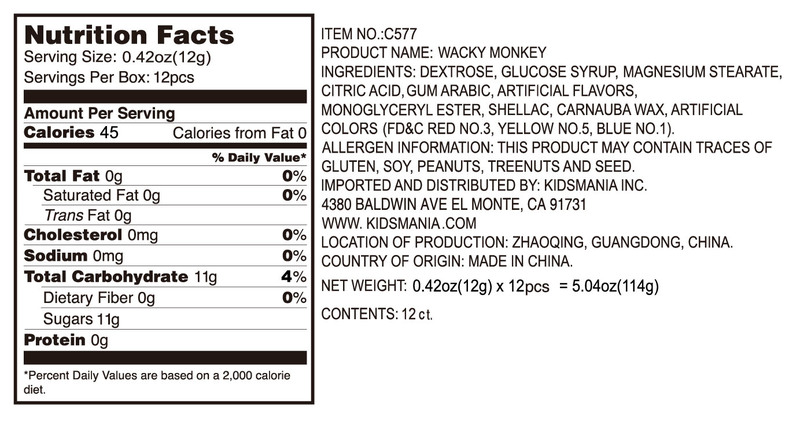 "What's more entertaining than an acrobatic monkey?! 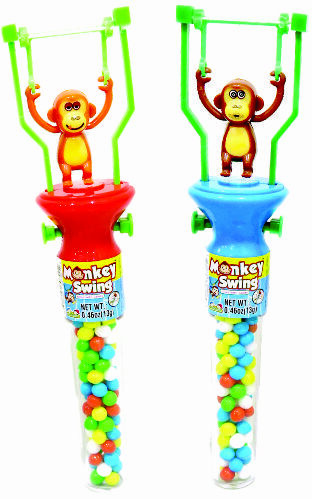 These fun little chimps will swing around their bars when you push down on the 2 buttons! Keep pushing again and again to see them do a few loops in a row! 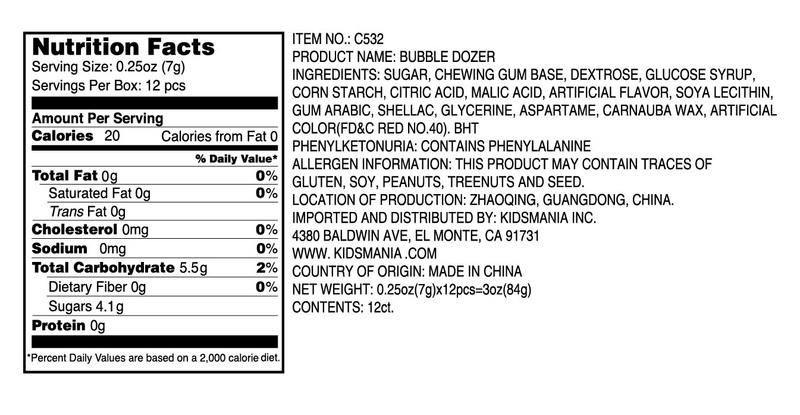 While you're at it, enjoy some yummy candy!" 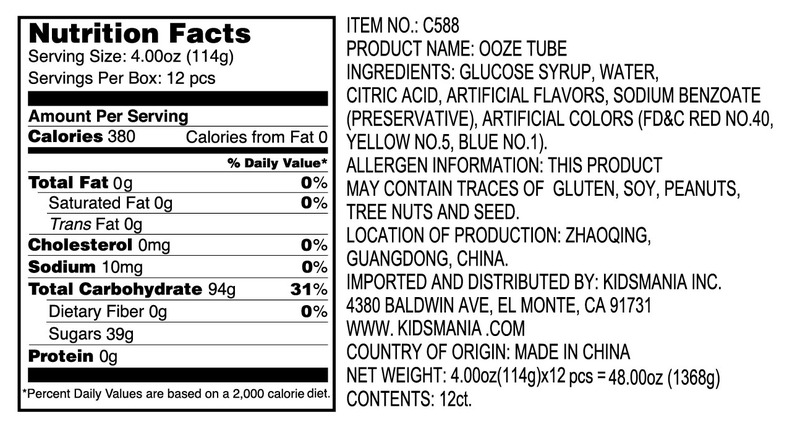 "This little oozing tube contains delicious sour goo that is sure to win you a favor or two! 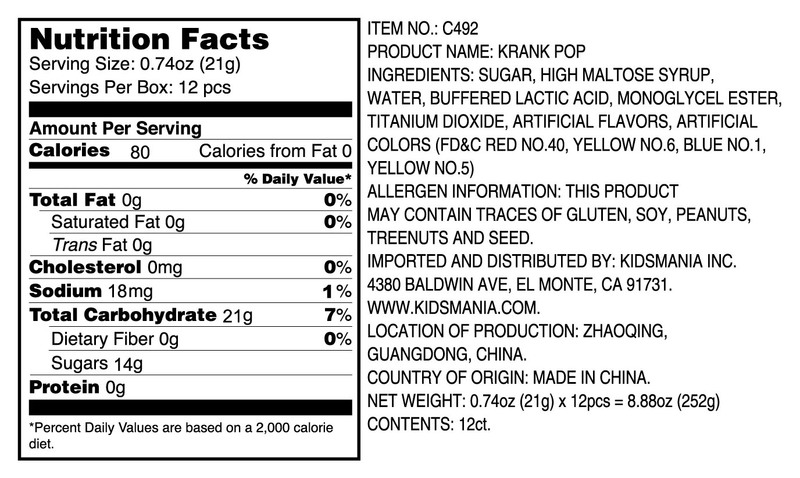 Complete with three fruity flavors, kids will be asking to try them all!" 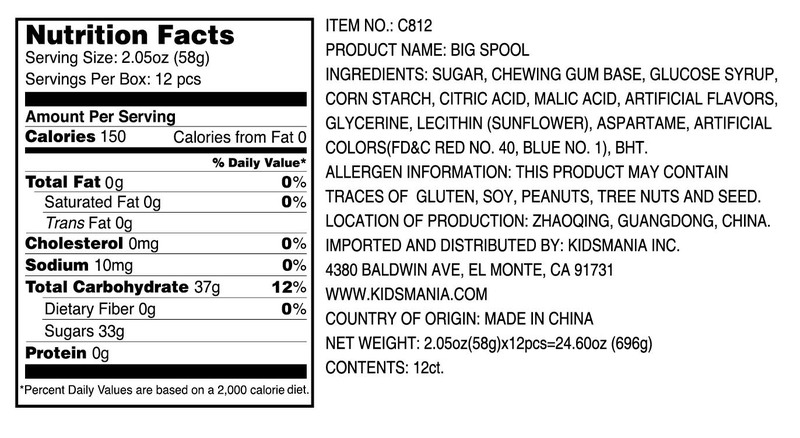 "Arrrrgh! 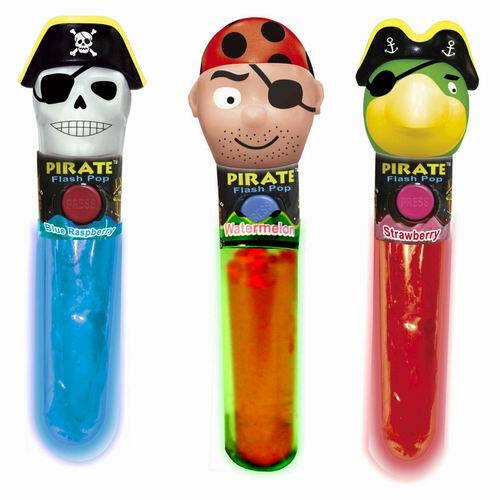 These here light-up lollipops are surely the greatest treasure! 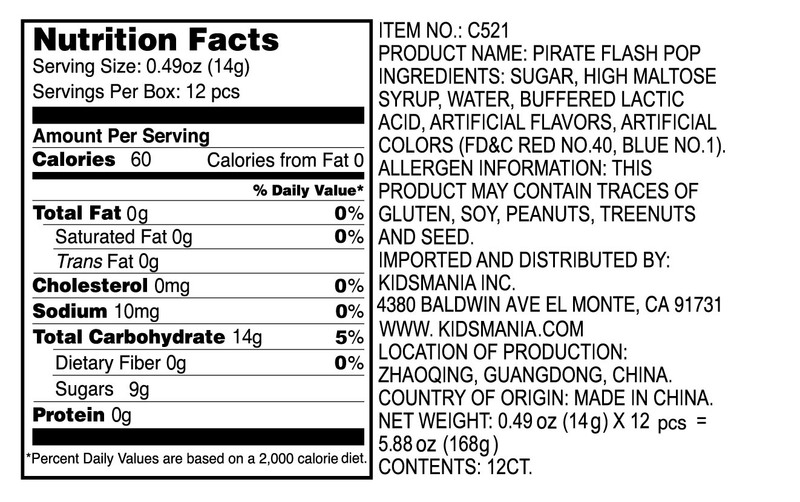 With 3 different characters and candy flavors to choose from, look no further for some good ol' fun, matey!" 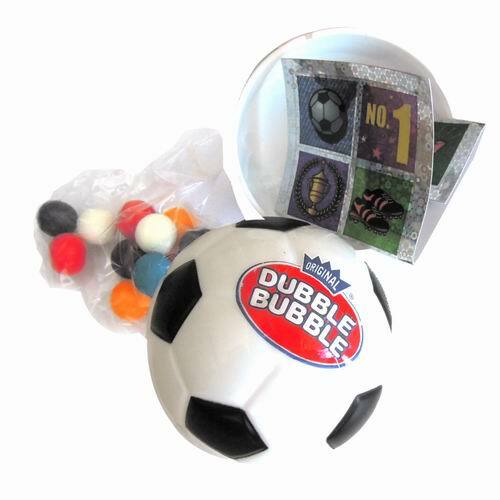 "These little sports balls are packed with yummy Dubble Bubble gumballs and a matching rubber eraser! 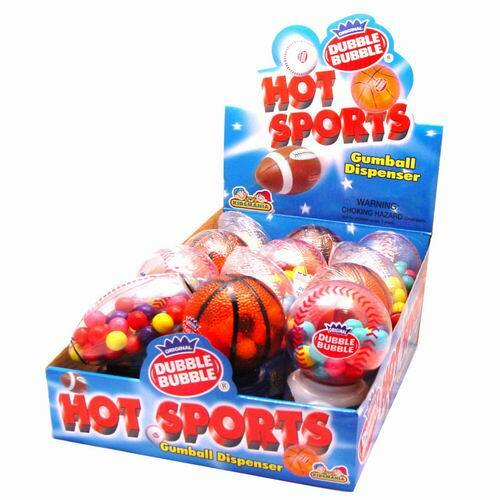 With the choice of baseball, basketball, football, or soccer, there's something for every kind of fan!" 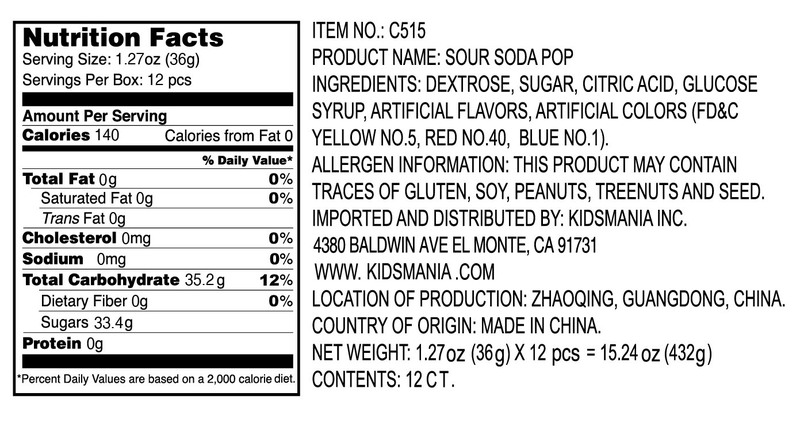 "Put out that craving in your mouth for something sour! 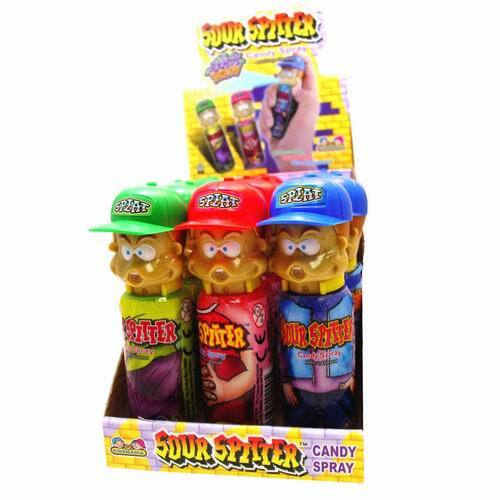 Using the lever, blast some tasty, sour candy spray onto your tongue, and try it in all 3 fruity flavors." 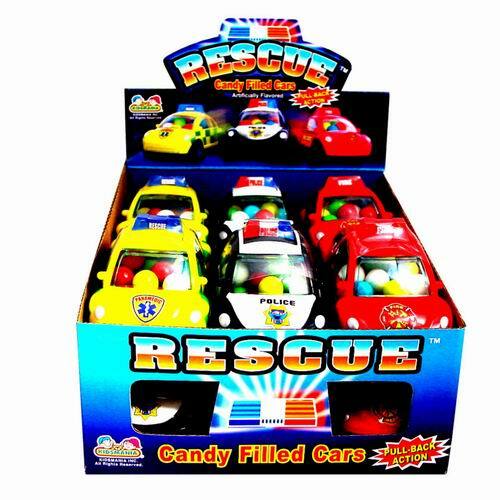 "Equip your toy car set with the 3 varieties of rescue vehicles. 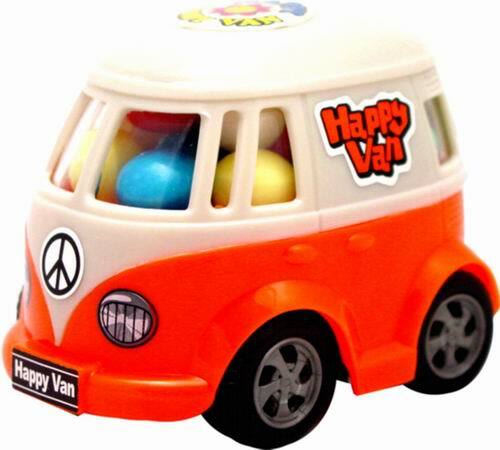 Each vehicle is filled with candy and equipped with pull-back action. 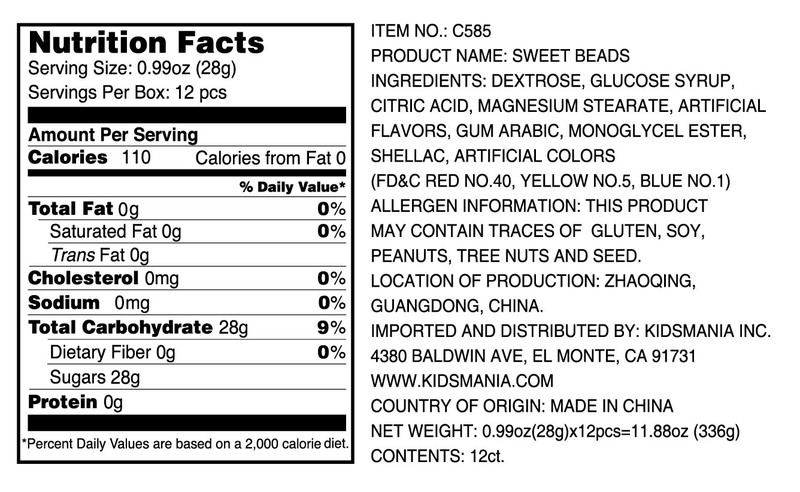 Candy to the Rescue!" 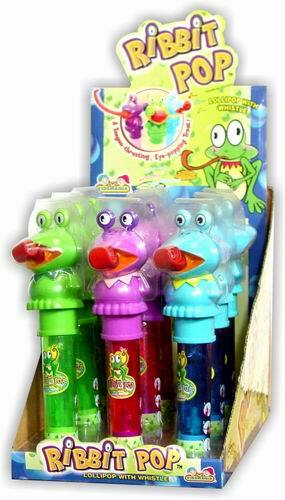 "These fun little frogs get very excited about whistling. 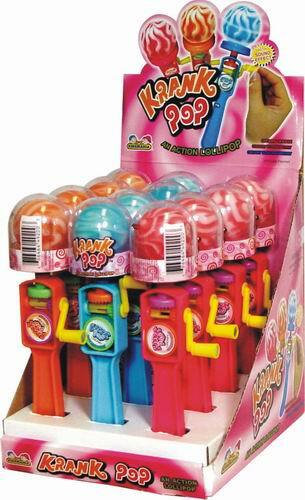 Just blow into the mouthpiece, and out pops their tongues, eyes, and a great whistle! 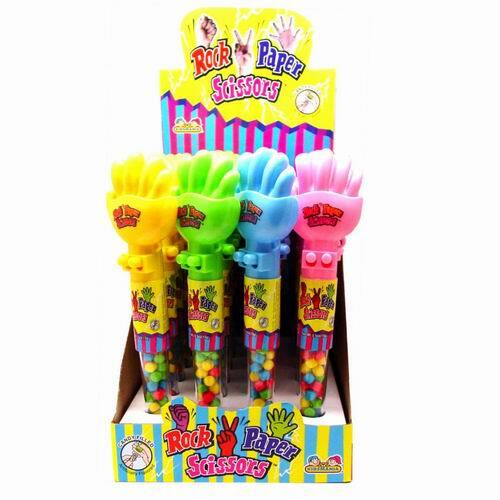 Afterwards, pop your tongue out to have a taste of the yummy candy!" 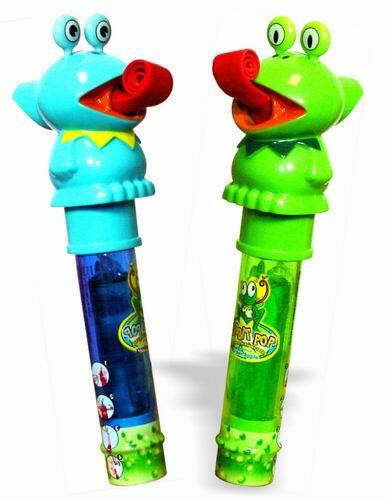 "Settle all of your oh-so-important life decisions with this "handy" toy! 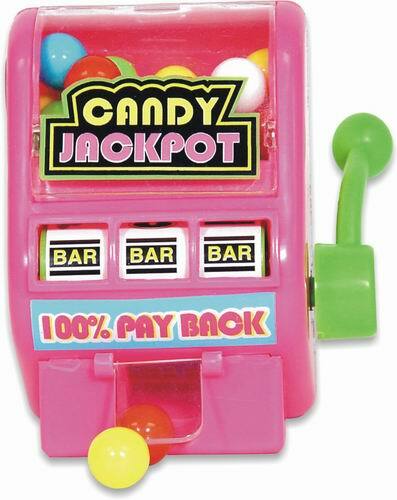 To control your hand, just push down on the corresponding buttons to decide your play. Winner gets candy! 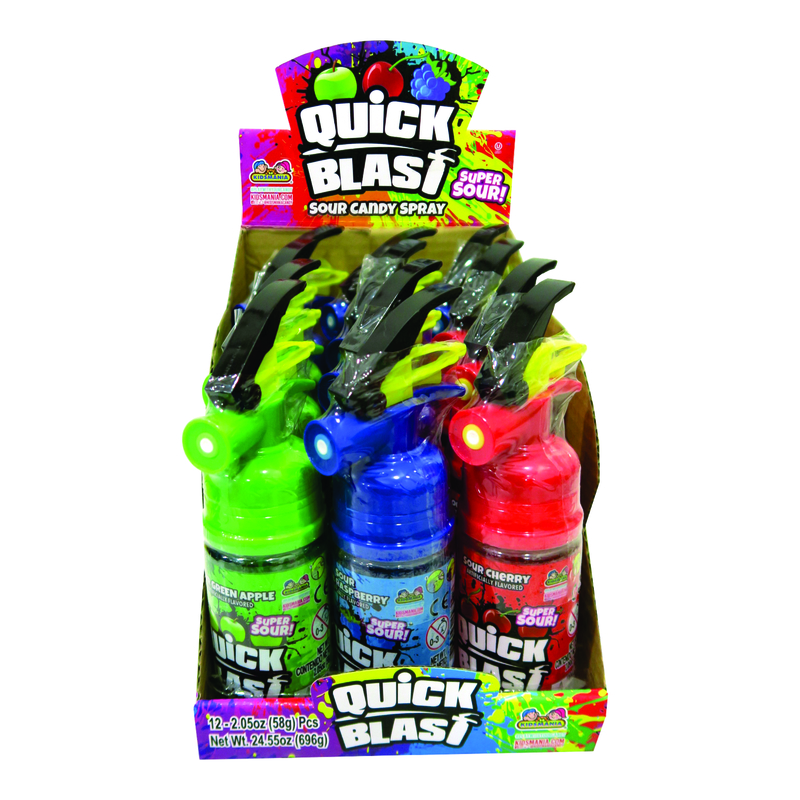 It comes in 4 colors." 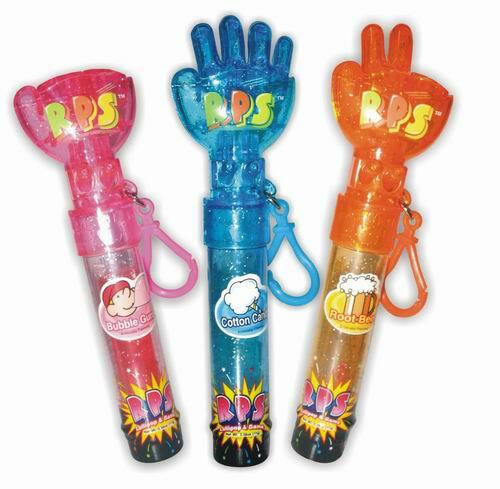 "This hard candy version of the original Rock-Paper-Scissors comes with an on-the-go keychain. 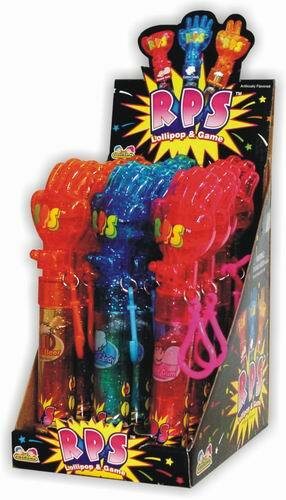 Simply press down on the corresponding controller nubs and challenge your friend to a duel! 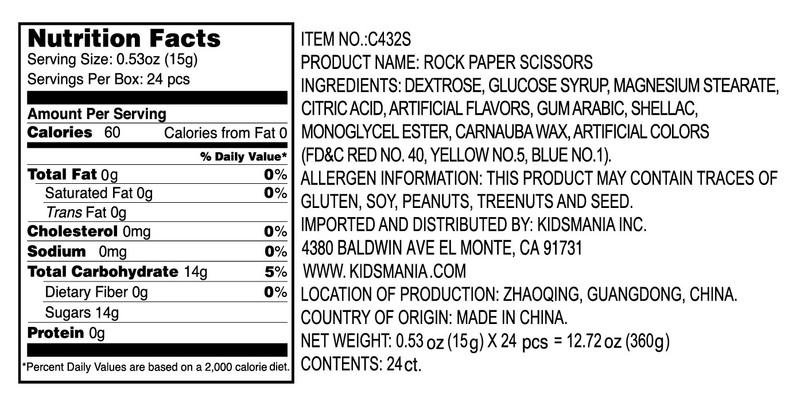 Rock, paper, scissors, GO! " 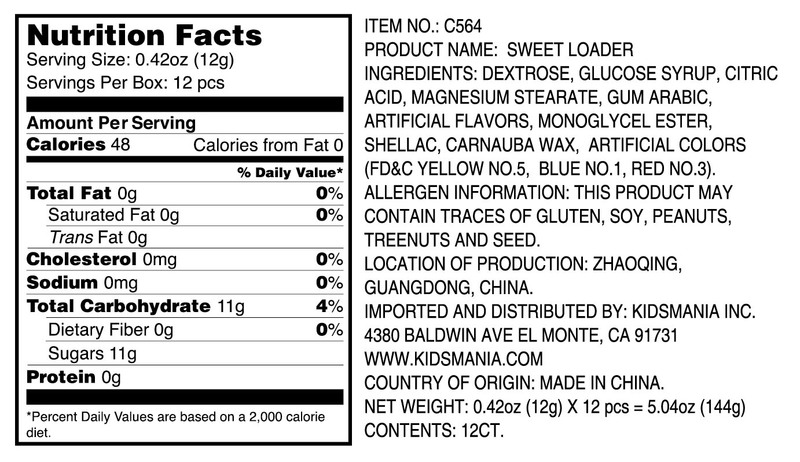 "Not ALL sharks are mean, some of them are sweet! 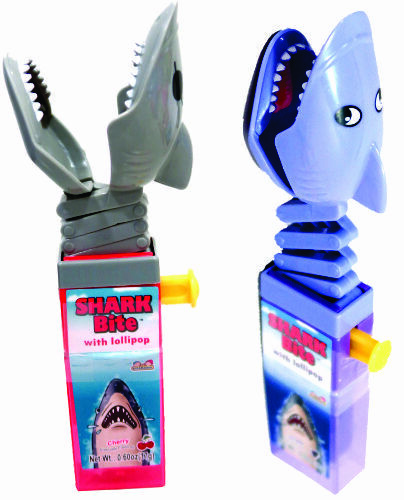 Have your own shark encounter with these fun shark bite toys. 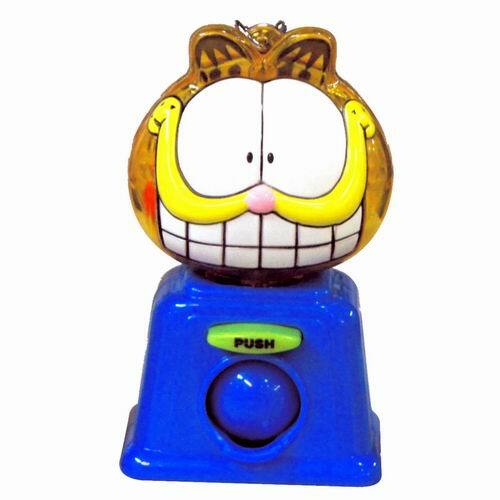 With the push of a button, they will stick their necks out for you and defend you! Literally! 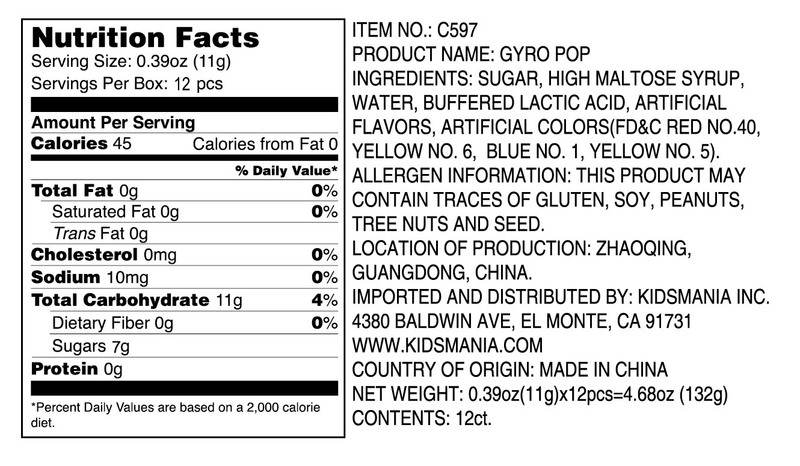 On top of that, they have a yummy lollipop to share. What more could you ask for? 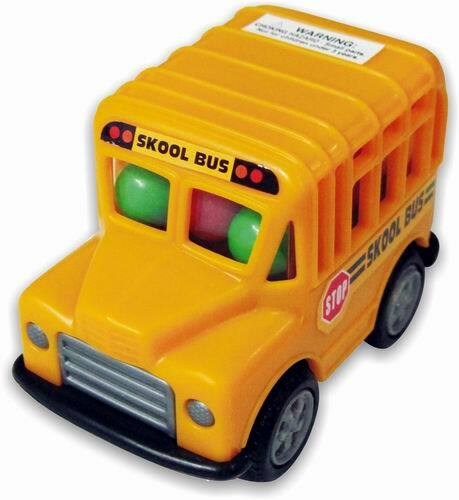 Honestly, all these little guys really want to do is play...and maybe nibble on some fingers..."
"This candy toy school bus is the perfect addition to any kid's toy car collection. 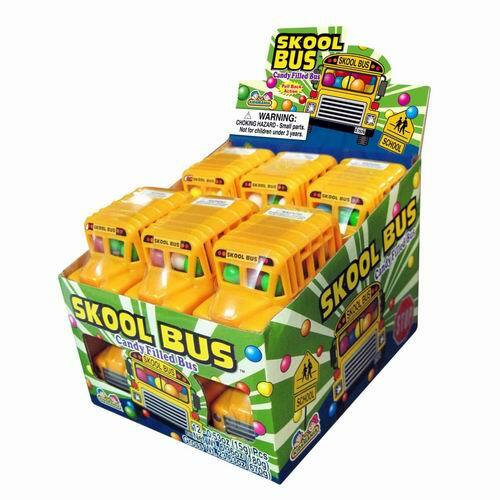 Equipped with pull-back action and a bus-load of candy, who wouldn't be racing to get to school?!" 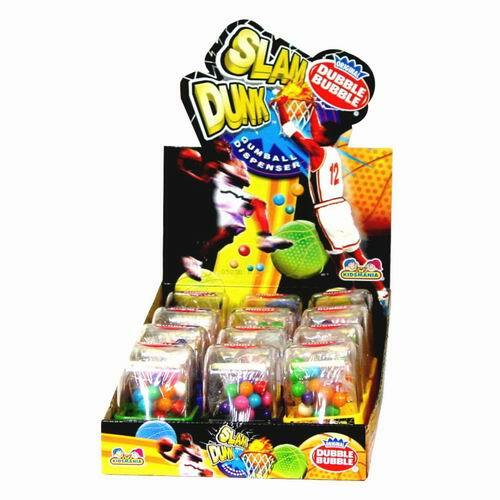 "Go in for the dunk with this Slam Dunk gumball dispenser! To score a shot, flick the colored switch and see if you can make it! 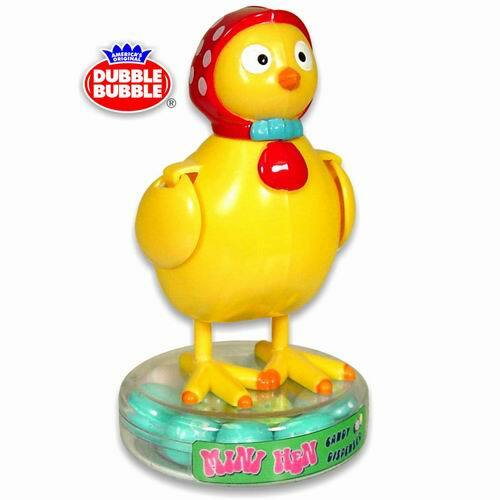 Every time you score, you are rewarded with a tasty Dubble Bubble gumball." 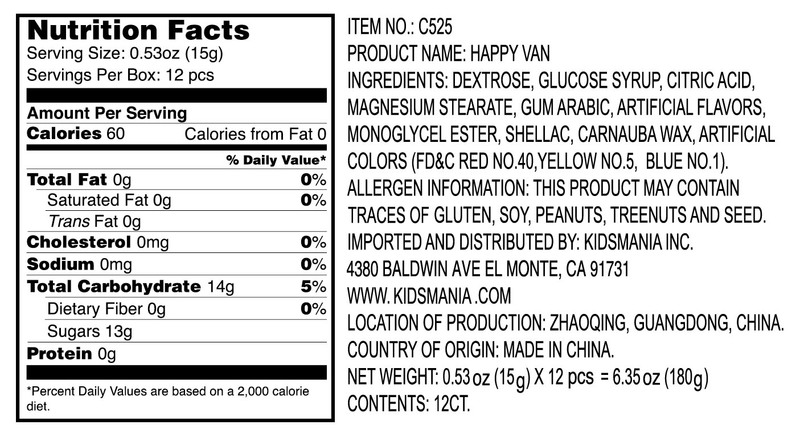 "Feeling lucky? 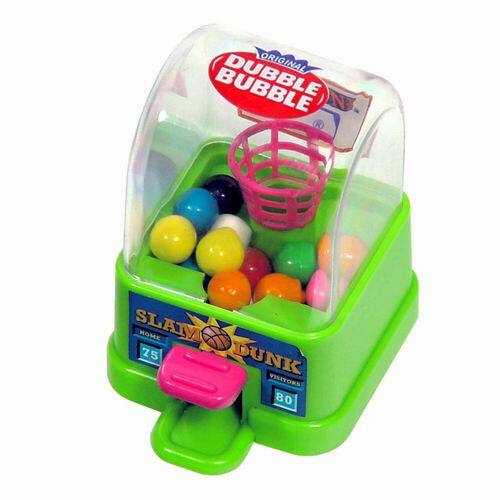 Give this little gumball slot machine a spin! 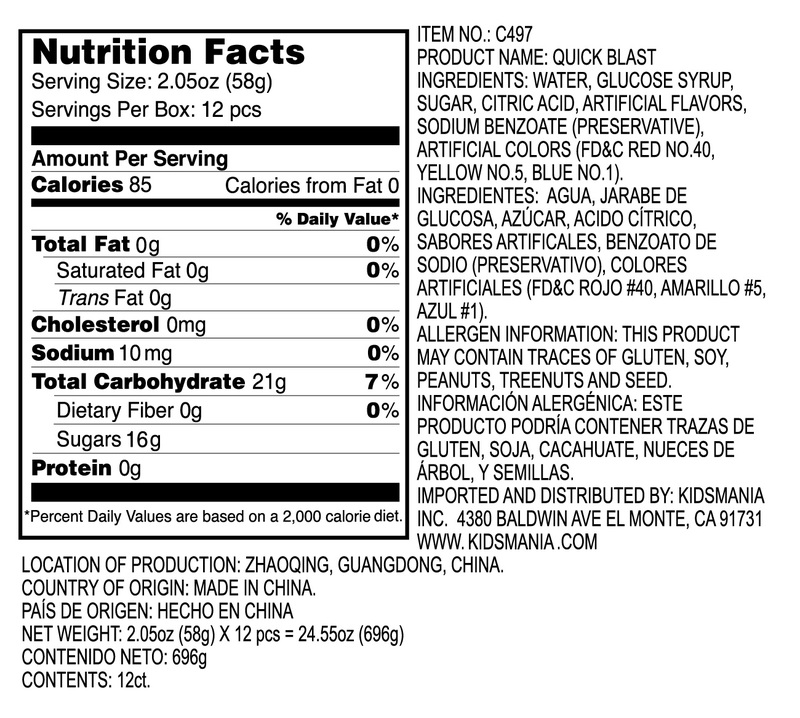 Pull down the lever to try to match all 3 slots. 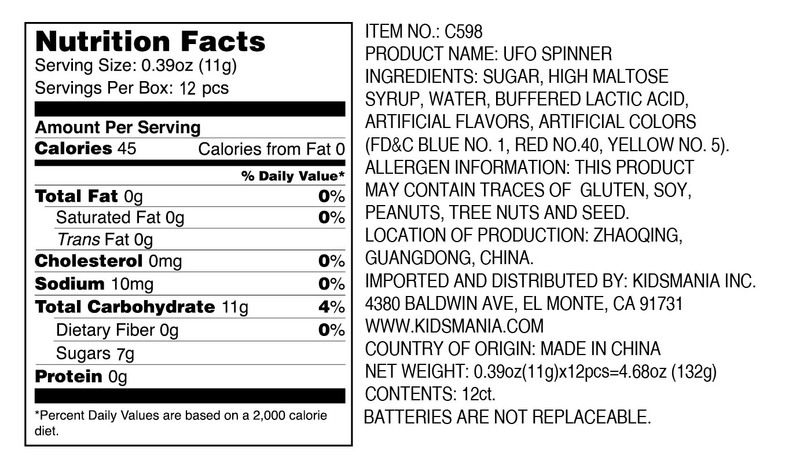 Don't worry, no matter what you spin, there's a winner every time! 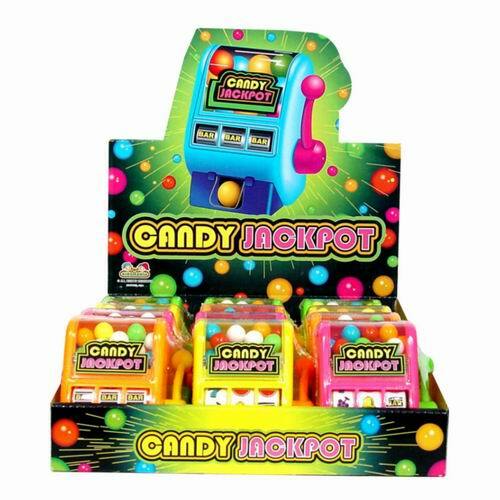 Jackpot!" 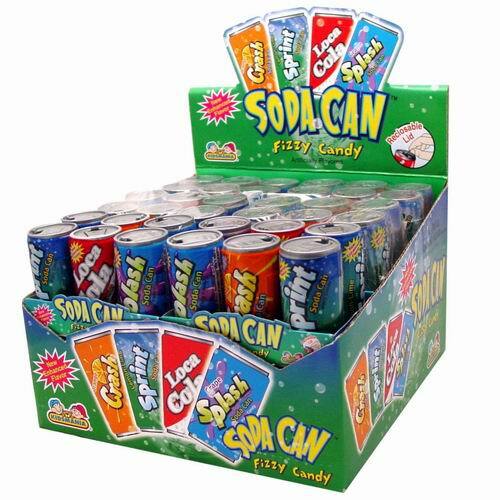 "The yummiest six pack you'll ever try! 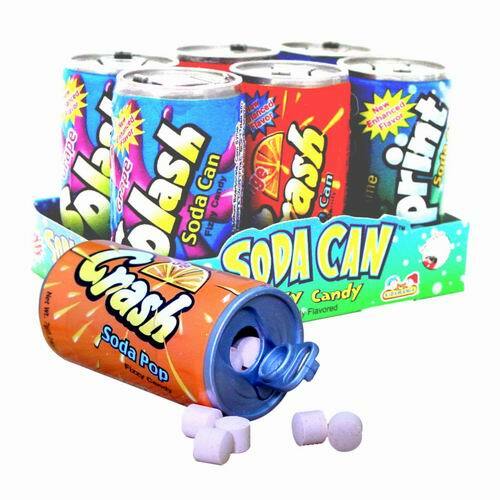 This fizzy soda candy comes in a pack of 6 mini soda cans and 4 different flavors to try! 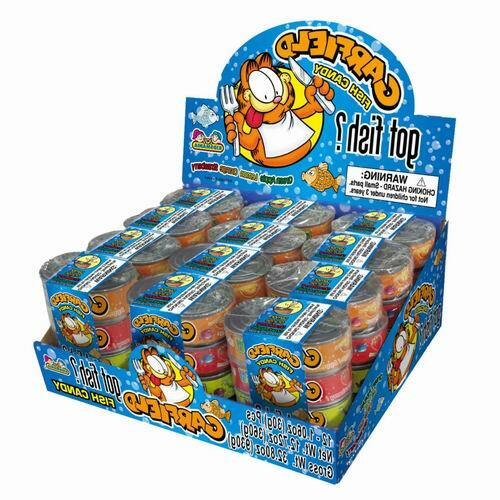 Perfect for sharing, or to have all on your own!" 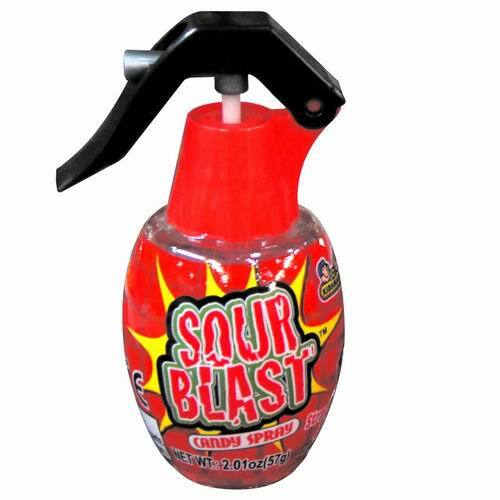 "Blast your mouth with some delicious sour spray! 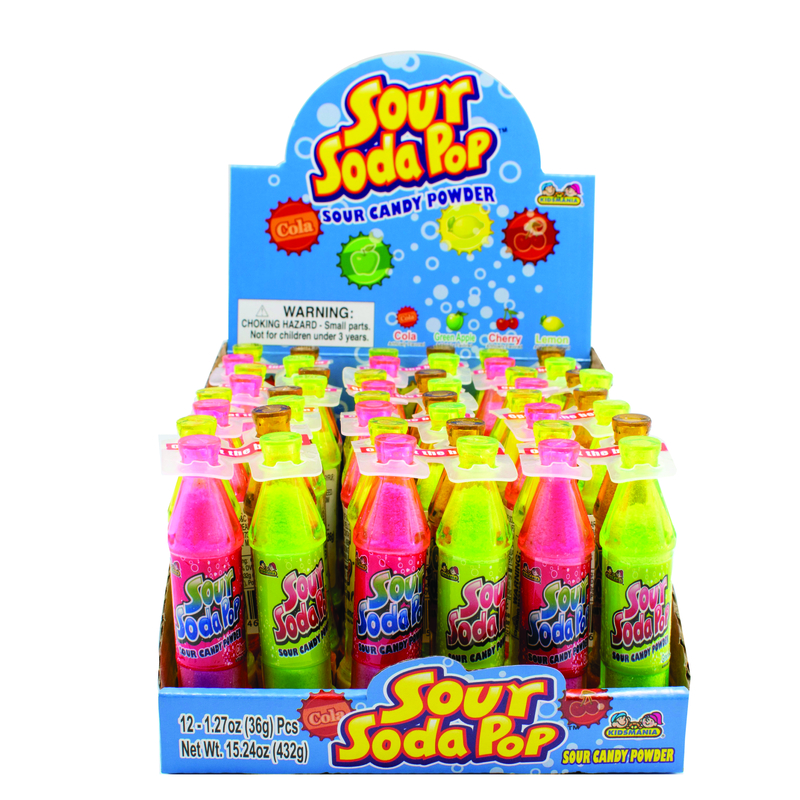 You will definitely feel the sour power!" 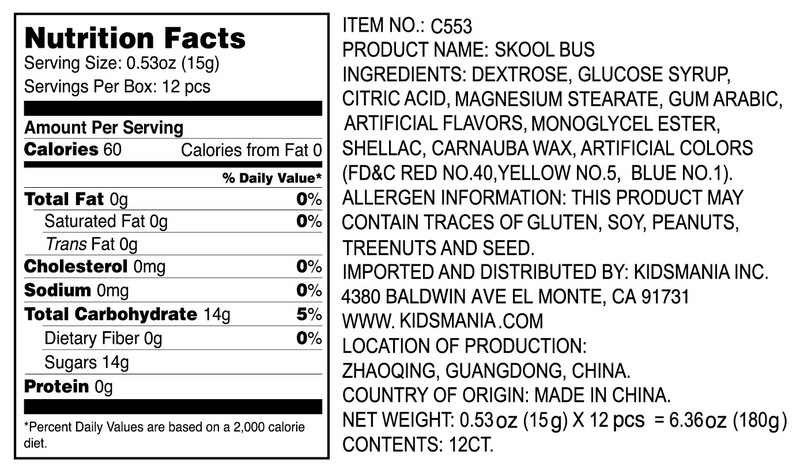 "You don't even have to be potty trained to enjoy this treat! 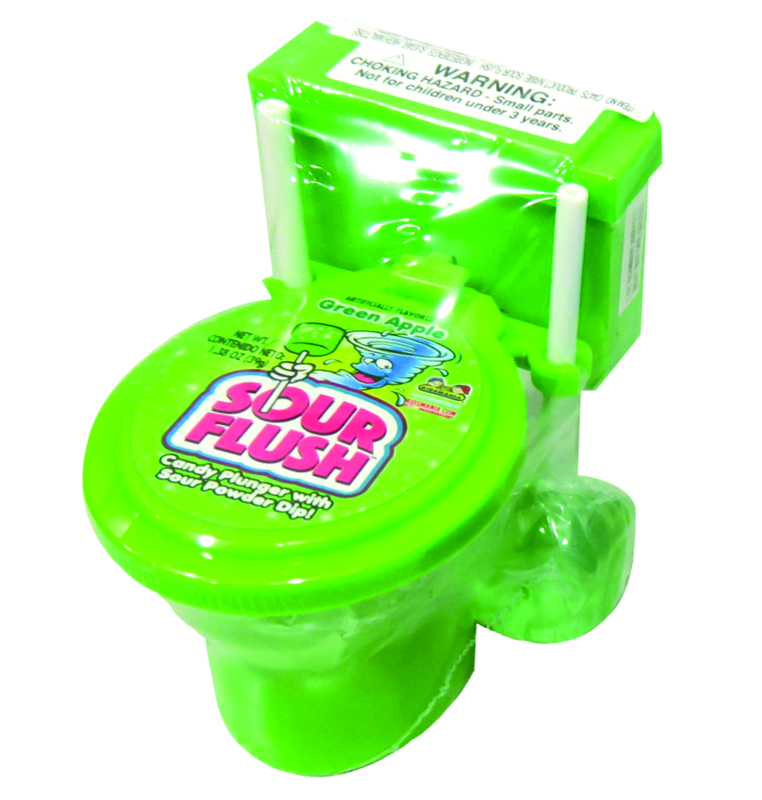 This sour powder-filled toilet comes with 2 sweet candy plungers. 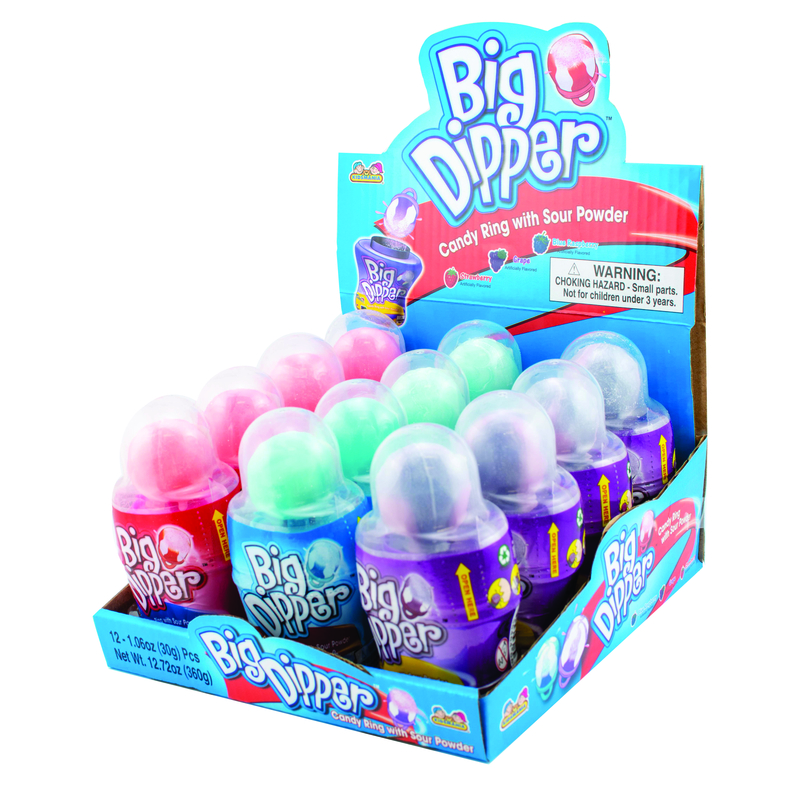 Just lick them, dip them, and enjoy! 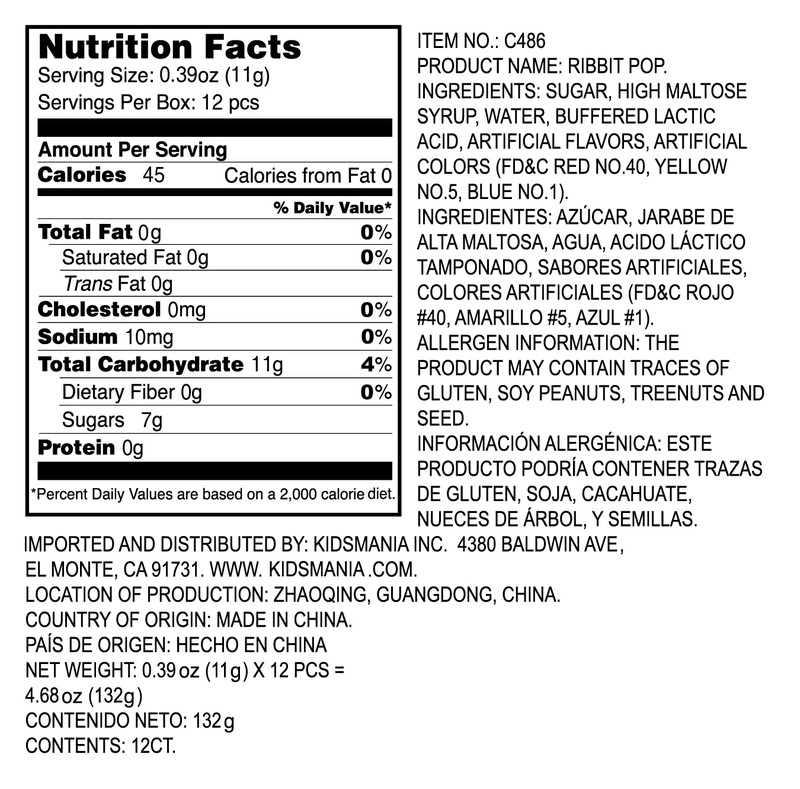 It comes in 3 color and flavor varieties." 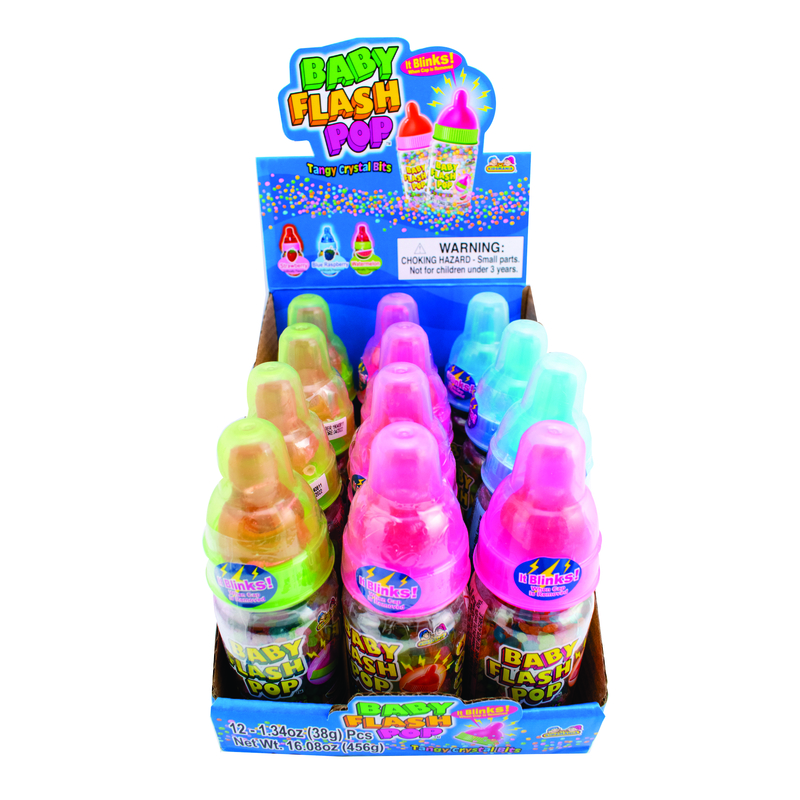 "These mini pop bottles come in a 4-pack that pack a serious punch! 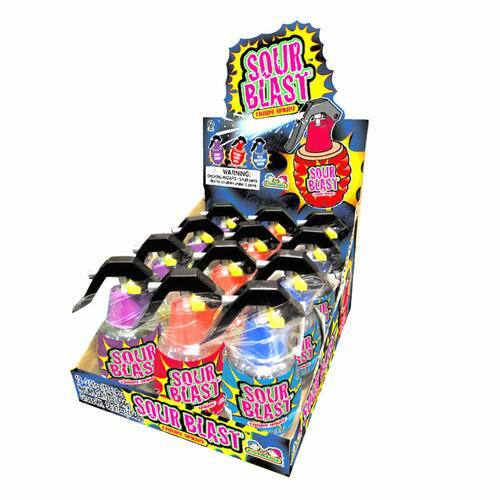 Try all four flavors of sour candy powder to conquer that sour candy power!" 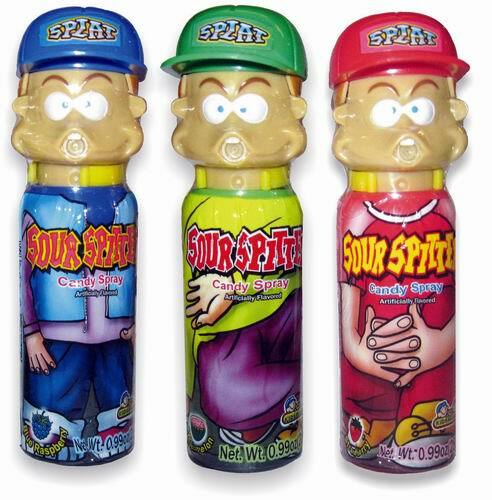 ""Say it, don't spray it"...said no one, ever, to these sour spitters! 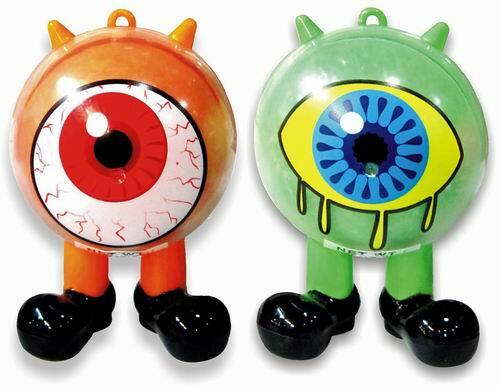 Each of these little dudes comes filled with a yummy sour, fruit-flavored candy spray. 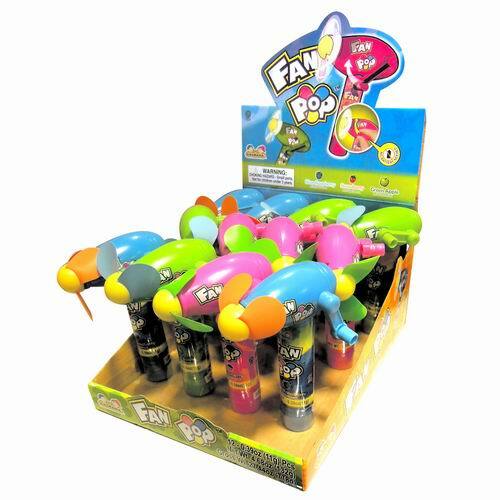 To spray, push down and aim inside your mouth! 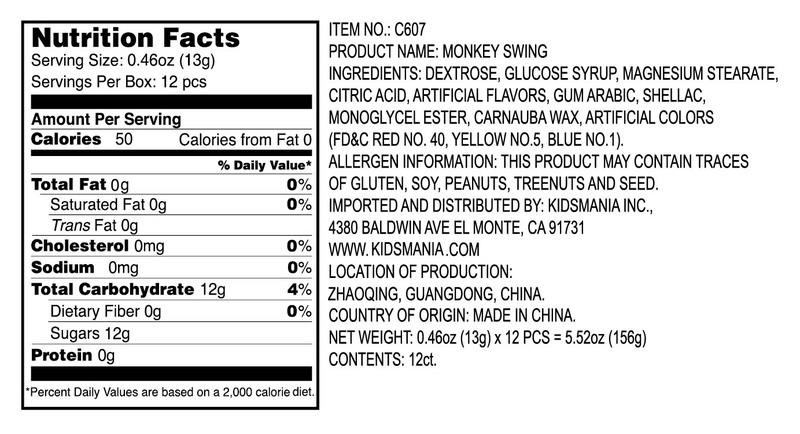 It comes in 3 colors and flavors." 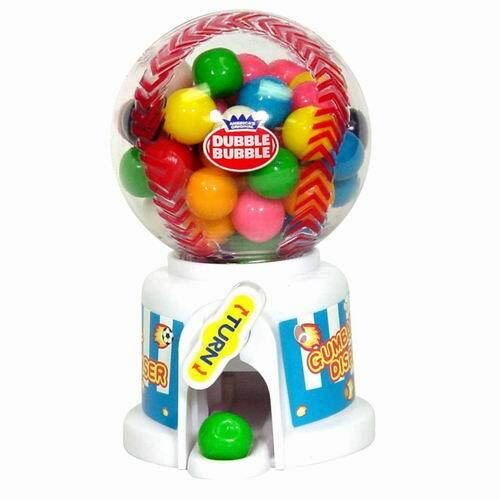 "This sports-themed gumball dispenser is perfect for any gameday occasion! 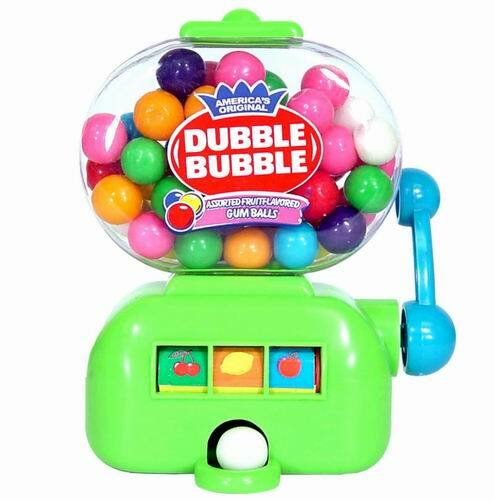 Just twist the knob to dispense and share some yummy Dubble Bubble gumballs. 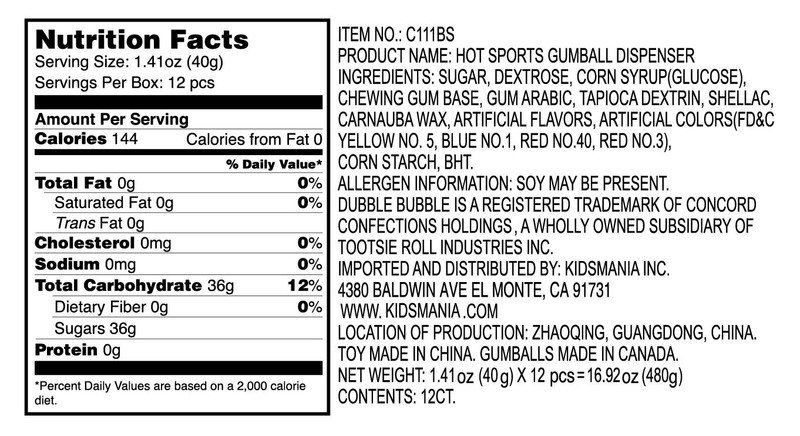 It comes in baseball, basketball, and football varieties." 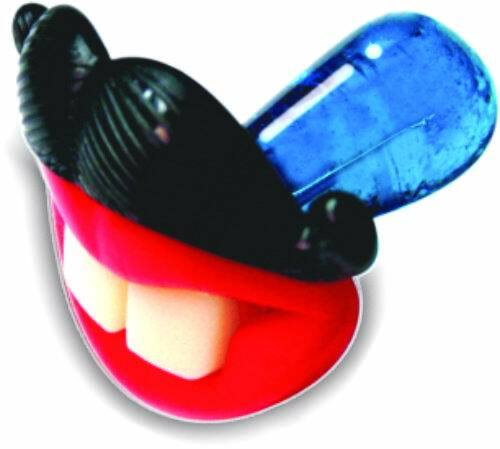 "This silly pacifier is sure to keep kids smiling while giving everyone a good laugh! 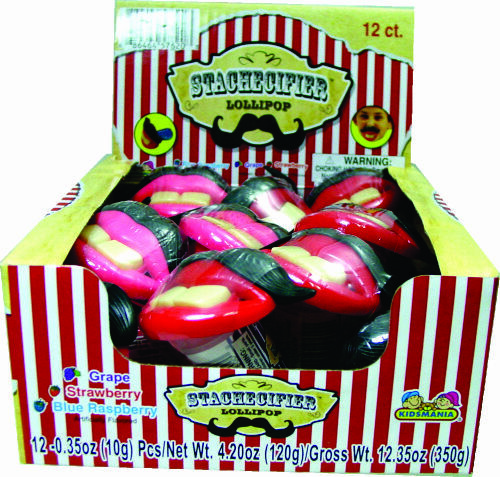 Plug these funny mustachioed suckers in your mouth while enjoying delicious, sweet candy." 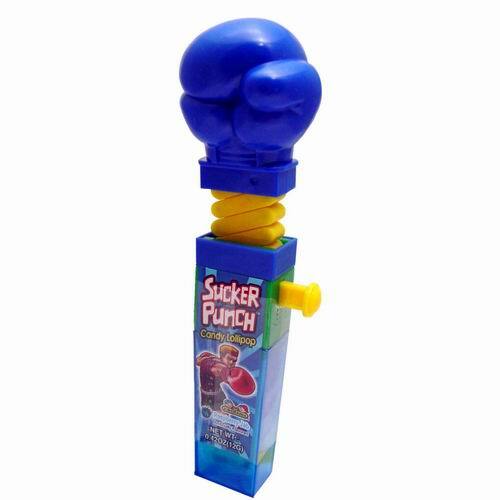 "Pack a sweet punch with this extending punching hand! 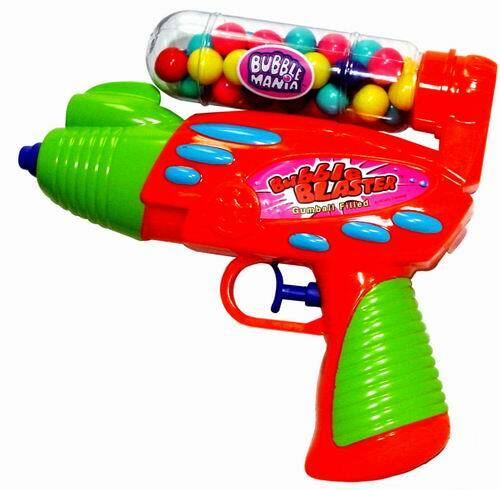 Simply push on the button to jab, and let go to retract. 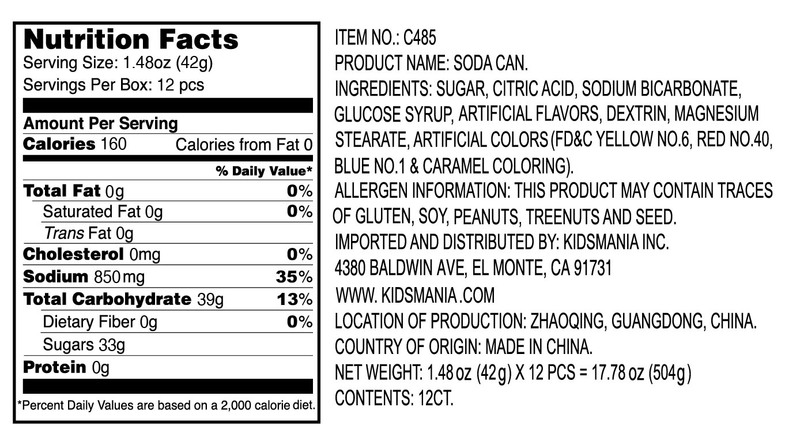 It comes in 3 different flavors and colors." 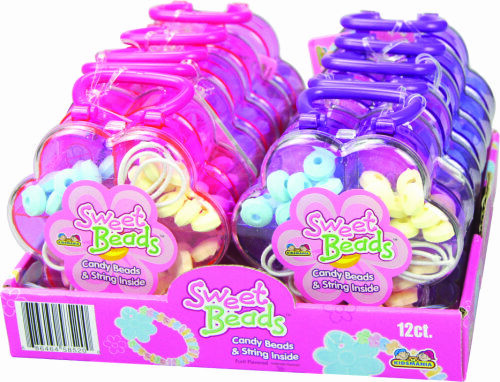 "Create one-of-a-kind jewelry with these sweet candy beads. 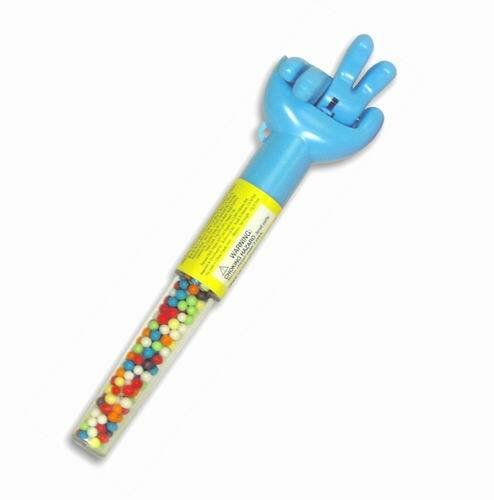 Complete with string and a variety of colored candy beads, design your style and munch as you go!" 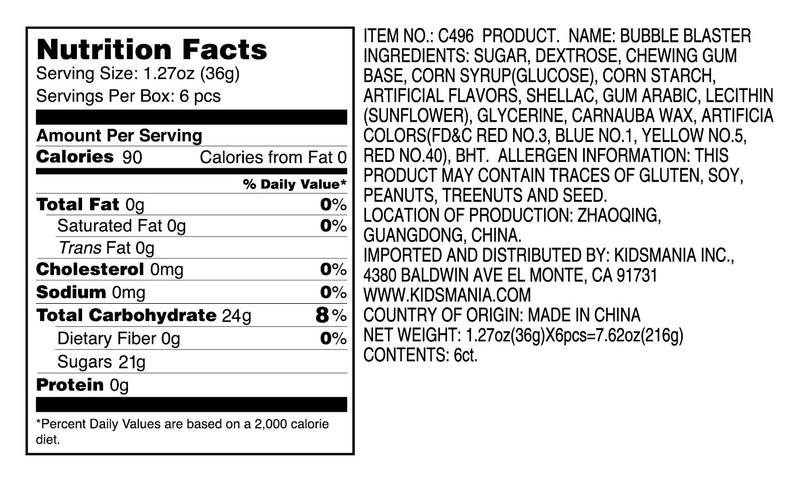 "Punchbuggy! 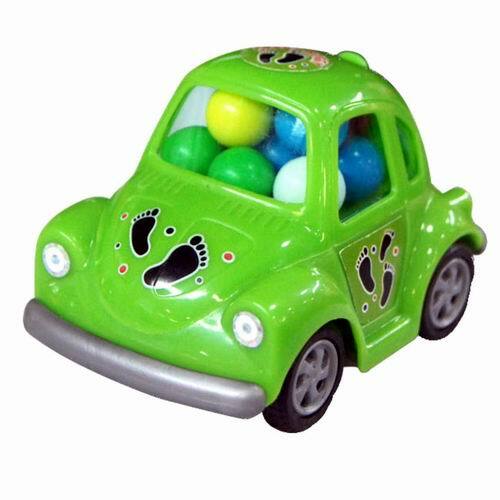 Enjoy some sweet candy from this cute candy-filled car. 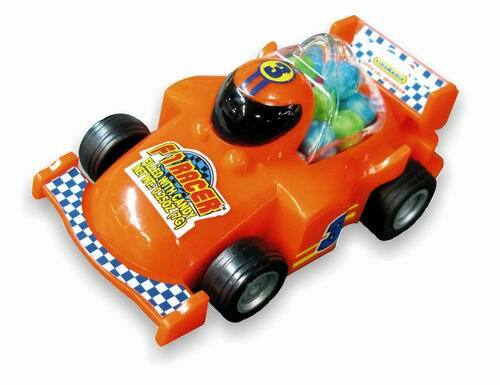 This buggy is equipped with pull-back action, so just pull and watch it speed away!" 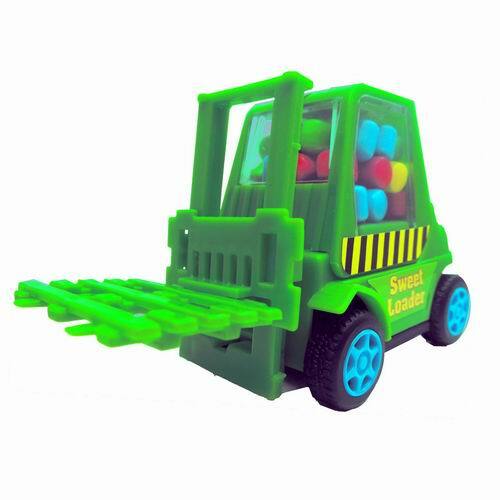 "Use this forklift to see how much candy you can lug and load around! 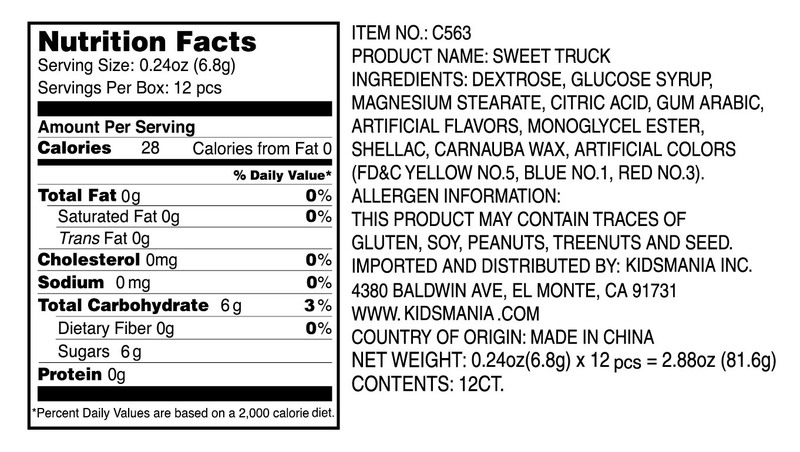 Comes complete with pull back action and moving parts on the pallet jack portion. " 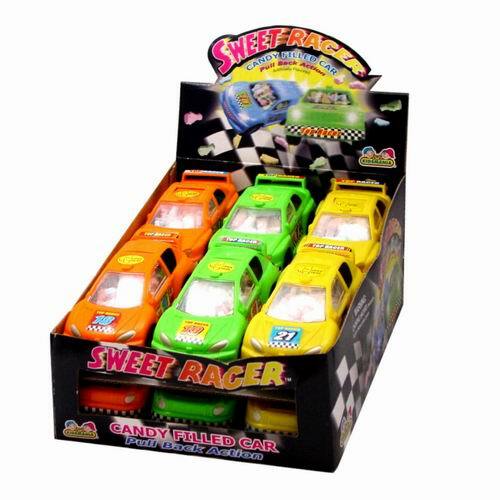 "Hold your own sweet races with these little racers. 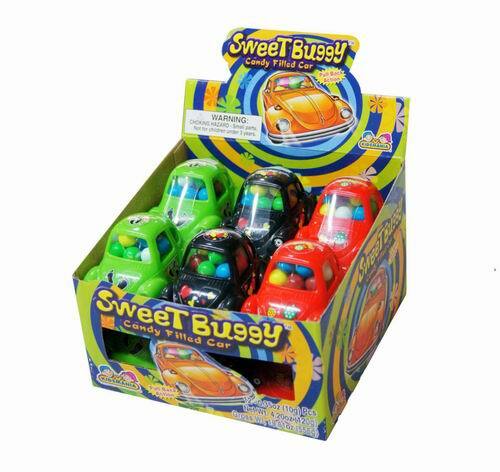 Each car comes with a candy-filled interior and pull-back action for some guaranteed fast action! 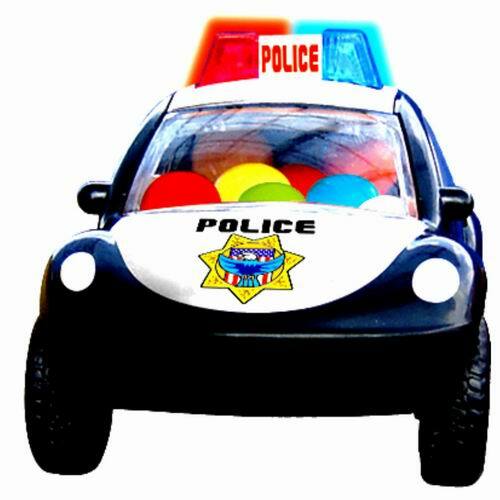 Ready, set, DRIVE!" 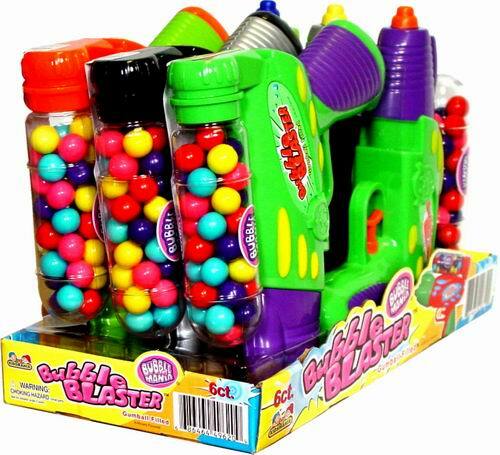 "With this, you'll be ready for any water fight! 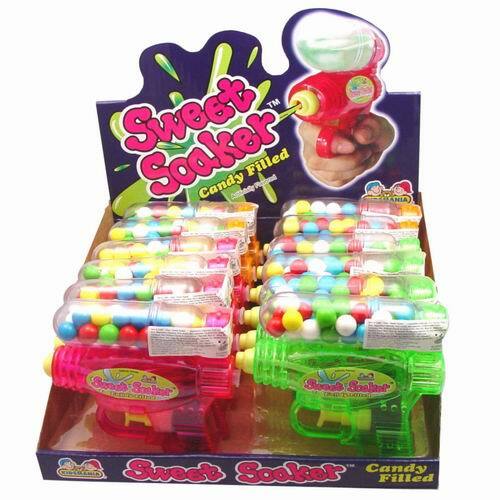 Just empty out the candy, fill it with water, and have at it! 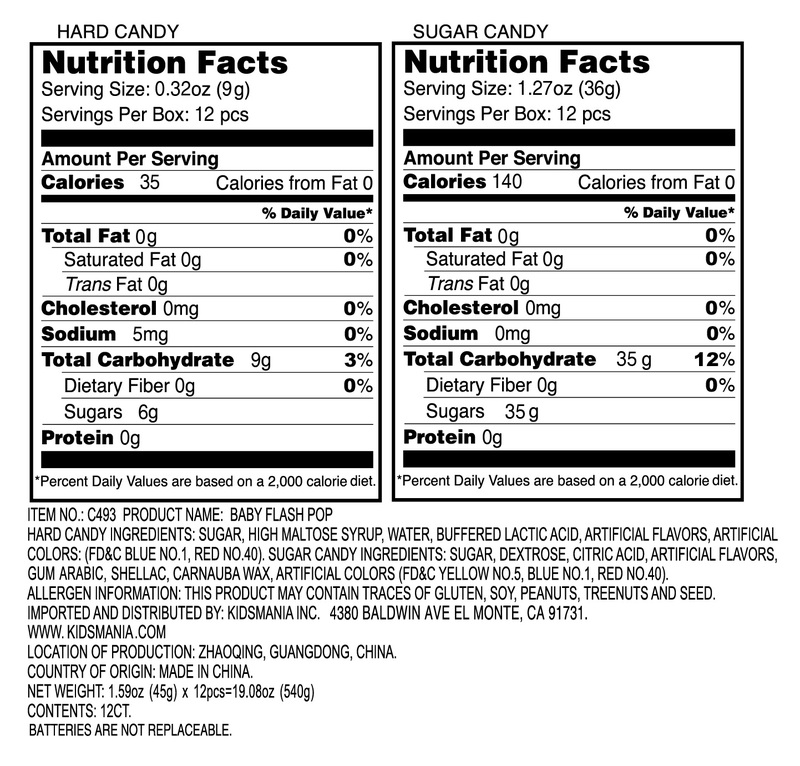 That also means you better eat up those candies quick! Don't worry, it's a good excuse. 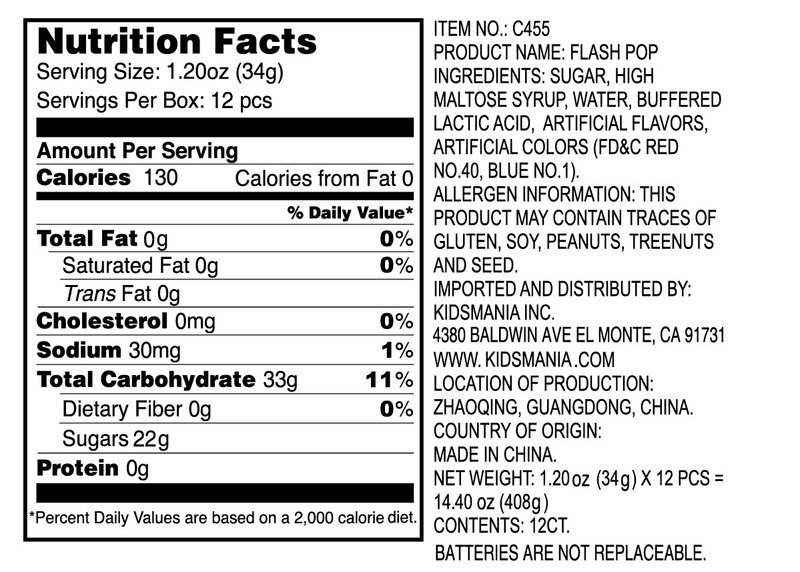 Plus, you'll need the energy." 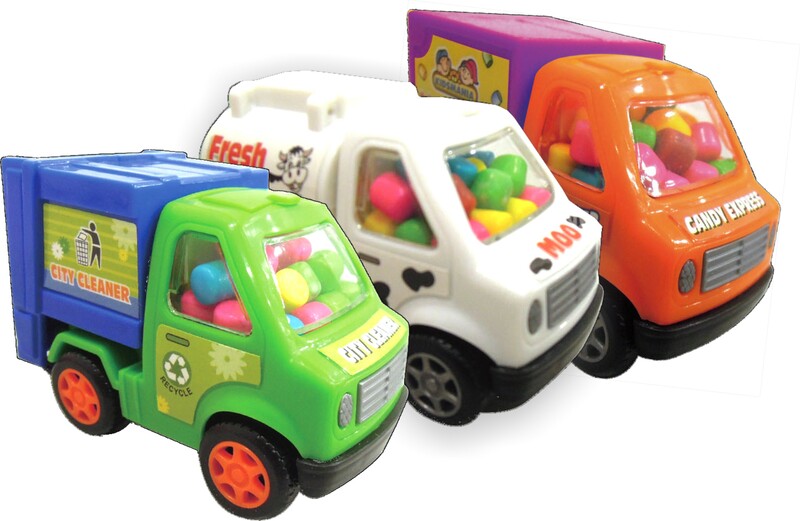 "Collect all three truck varieties: the City Cleaner, Milk Truck, and Candy Express! 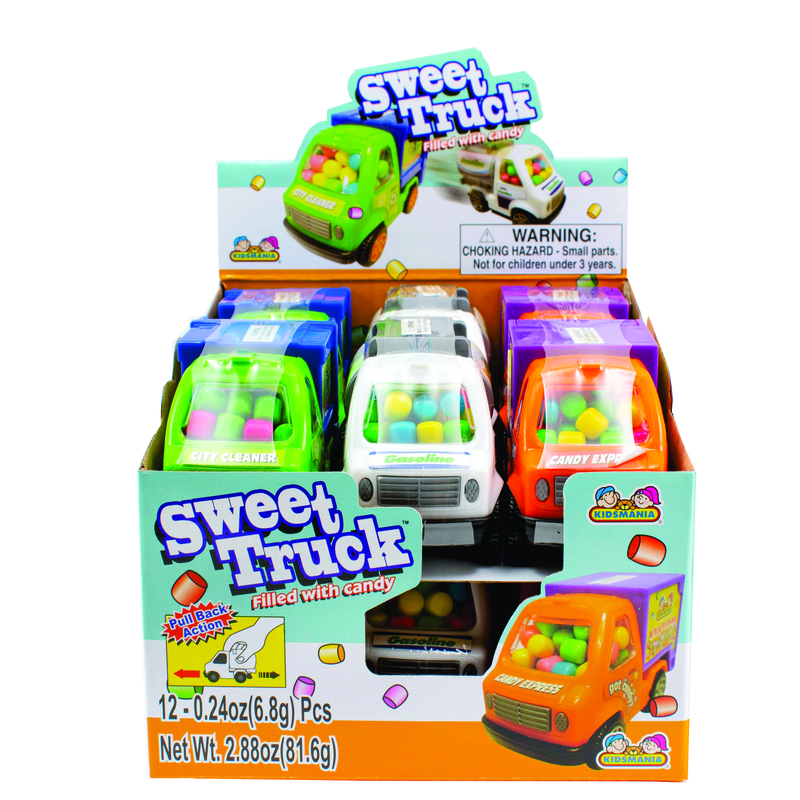 Each truck is filled with sweet candy and equipped with pull-back action for the optimal play experience!" 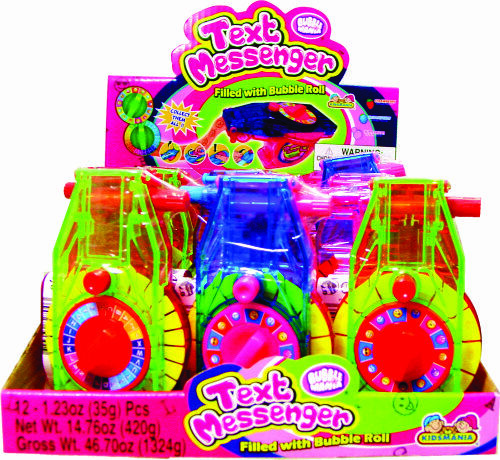 "This toy is perfect for sending secret messages to your BFF! 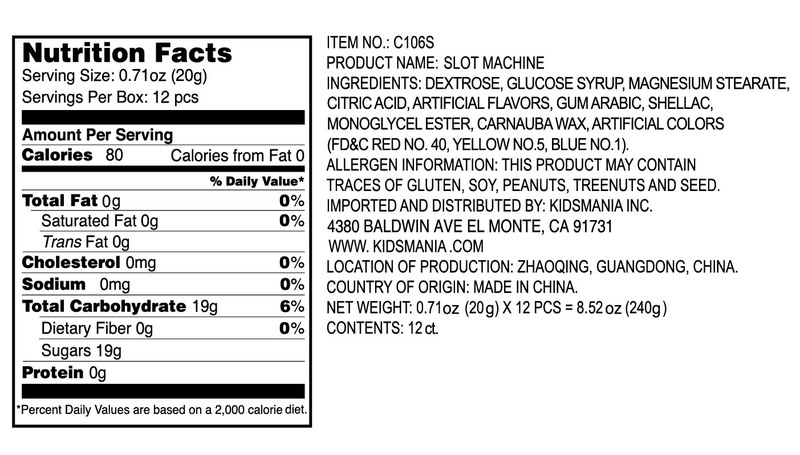 This label maker-like contraption comes in 2 varieties. 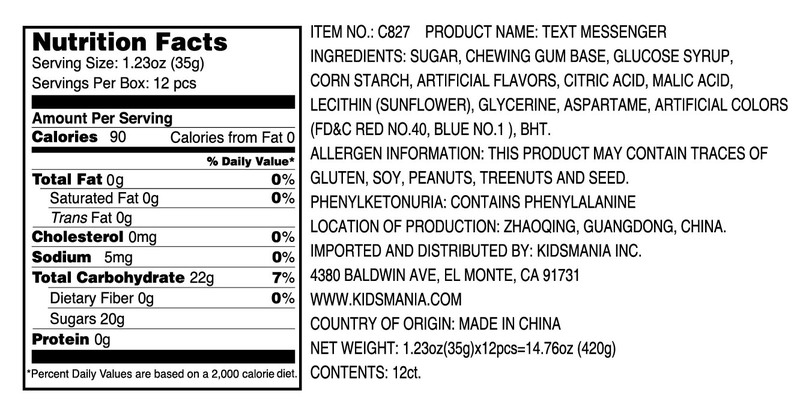 Each one lets you type out words or emojis by imprinting them on a piece of gum. 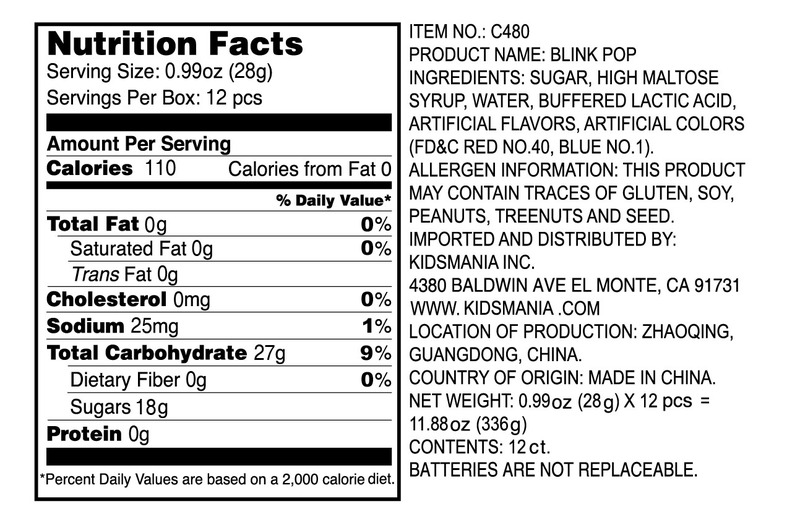 What better way to get a message across than on a sweet treat?! 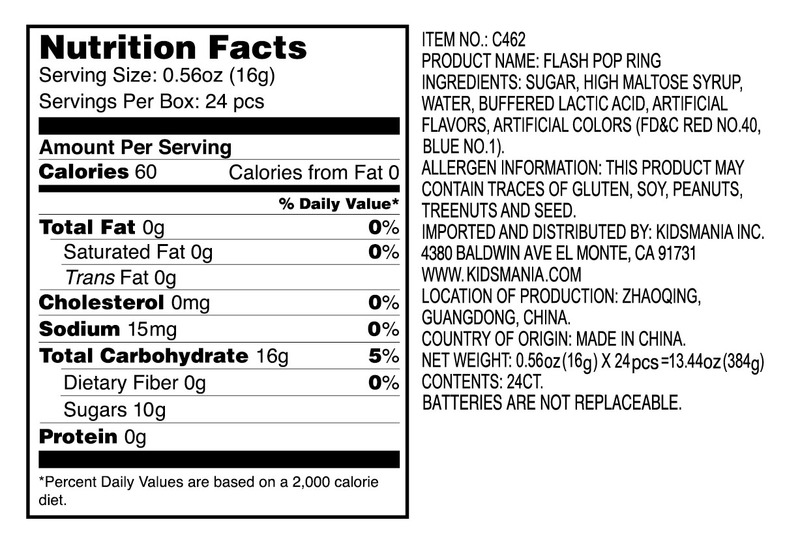 Best off all, once the message is received, it will self destruct in seconds as the person chews it away. 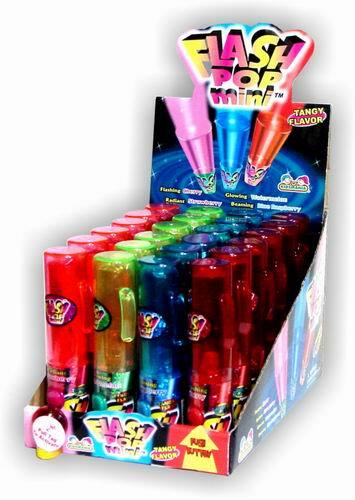 BRB I need to go get me one of these!" 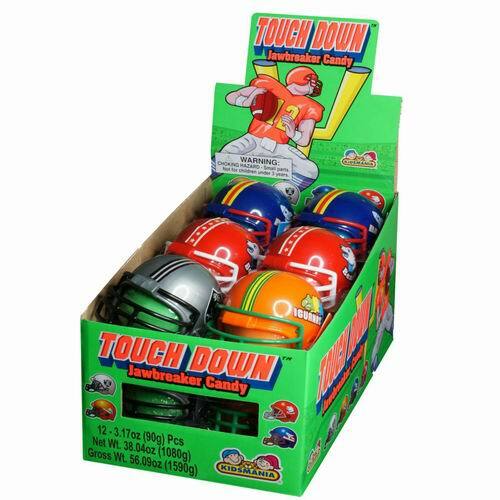 "Here's a great treat for football lovers! 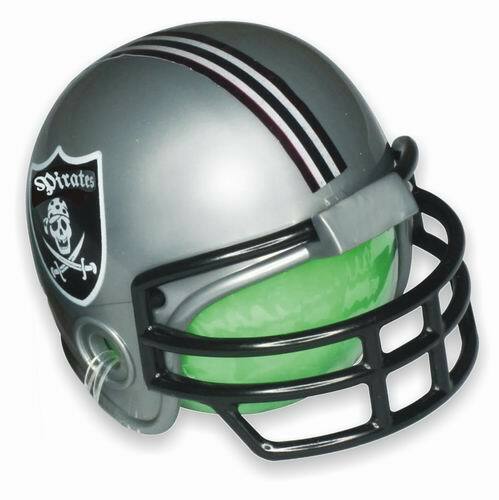 This jawbreaker candy is encased inside a football helmet and comes in a variety of fictional team colors and names. " 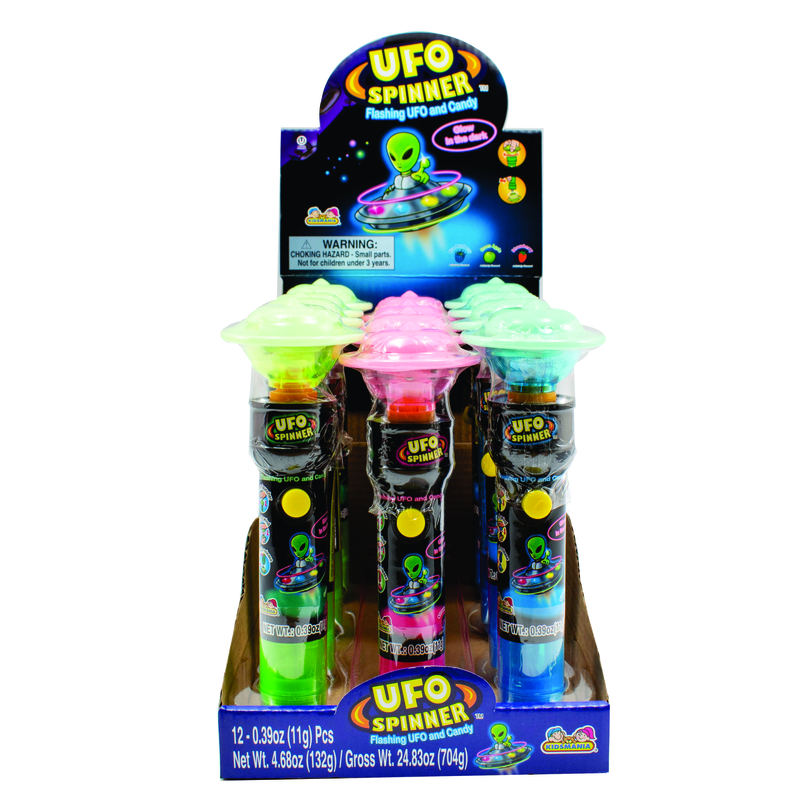 "The UFO Spinner is a new take on the classic top. 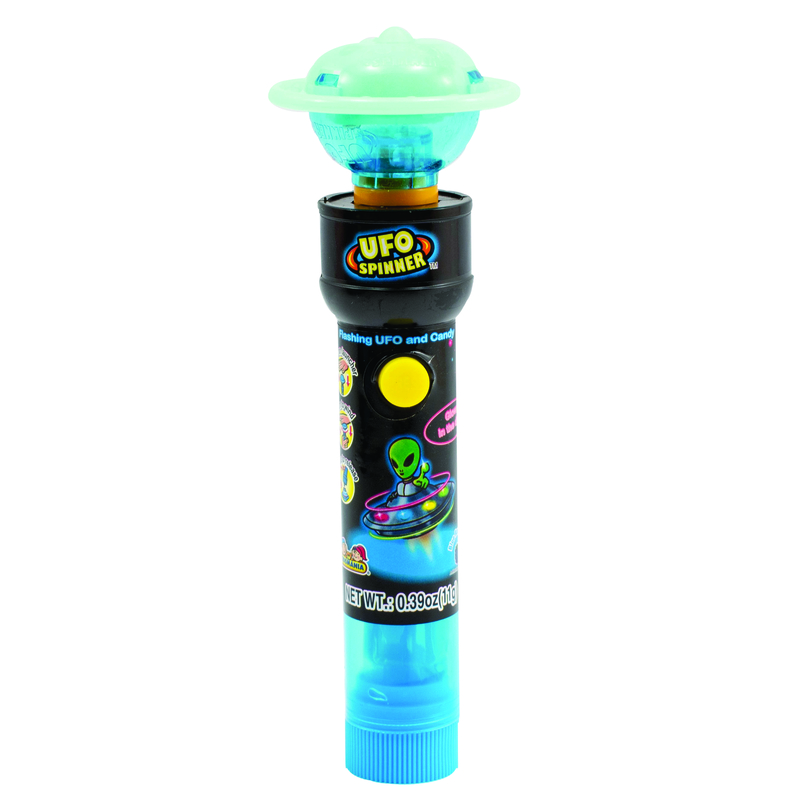 This toy comes with a wind up launcher that spins the light-up top by the push of a button. 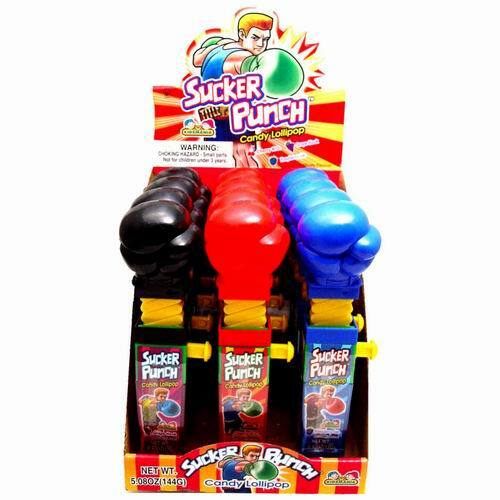 Of course, the launcher also contains a hard candy portion that can be enjoyed while you play." 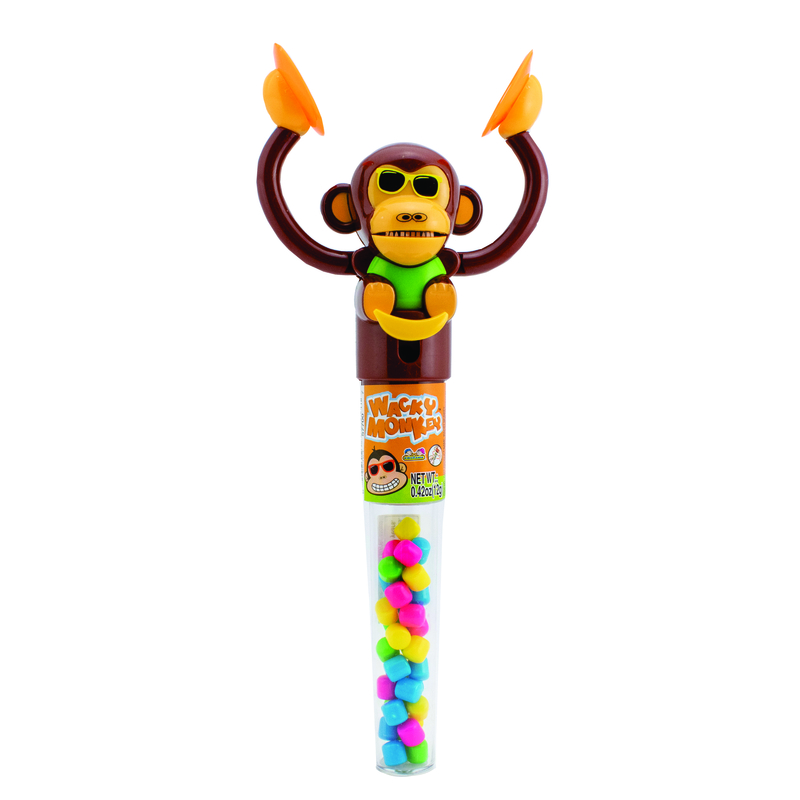 "Make some noise with this cute musical monkey toy! 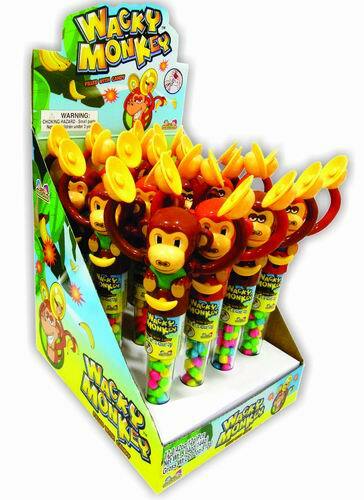 Just push down on their banana levers, and create your own Monkey Symphony! 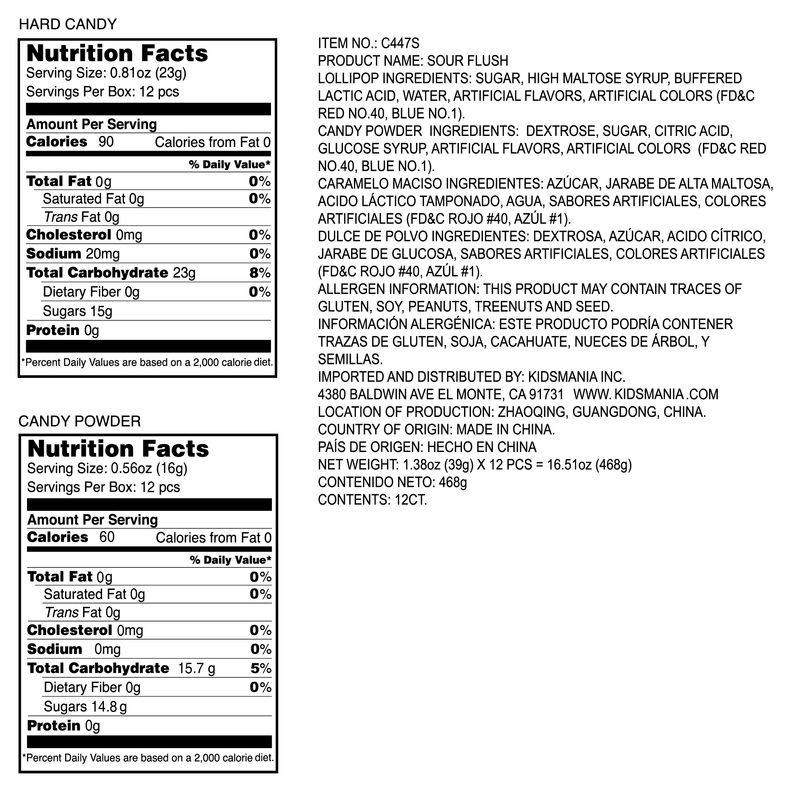 Enjoy some sweet candy while you're at it, too!" 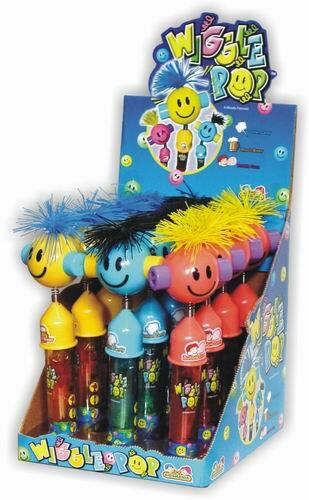 "Give these wacky dudes a wiggle and you are sure to smile! 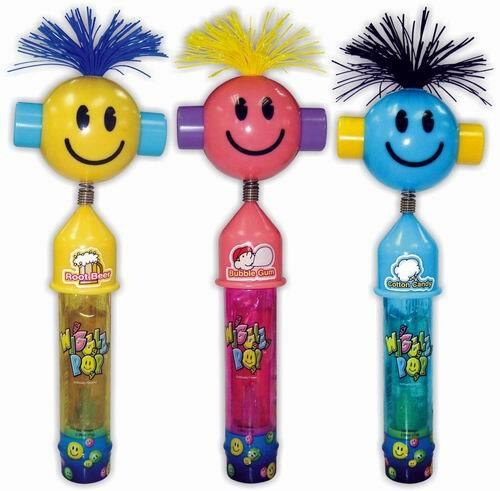 The more they wiggle, the more they sound! 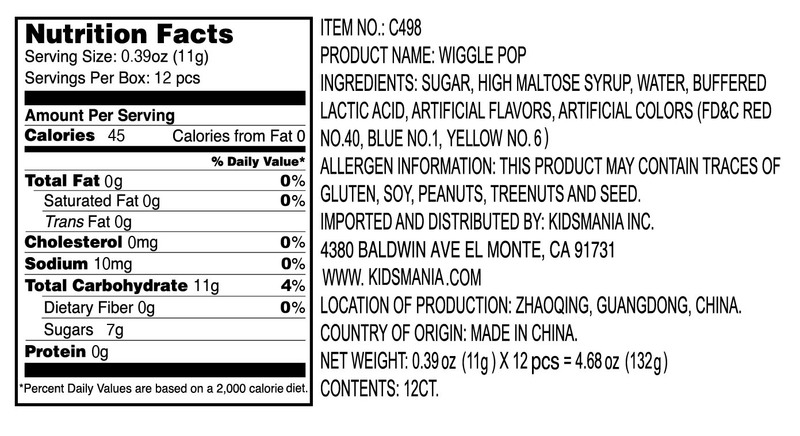 And if that still doesn't bring a smile, have a go at the sweet lollipop!" 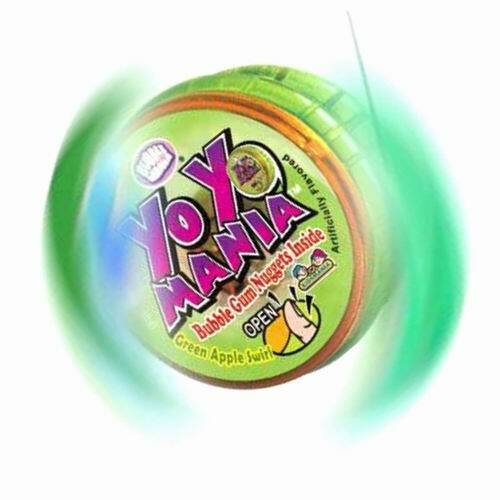 "Here's a sweet spin on the well-loved yo-yo. 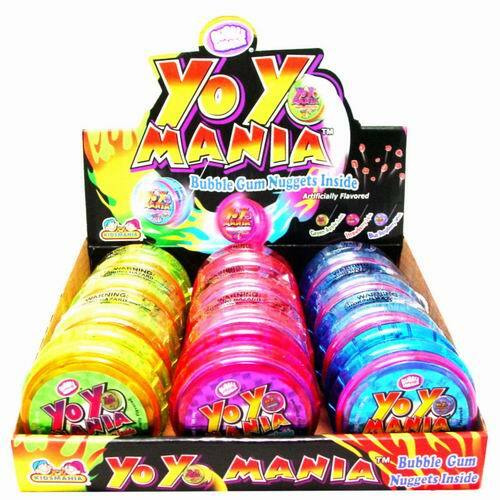 3 different color varieties of yo-yos, each filled with tasty bubble gum nuggets." 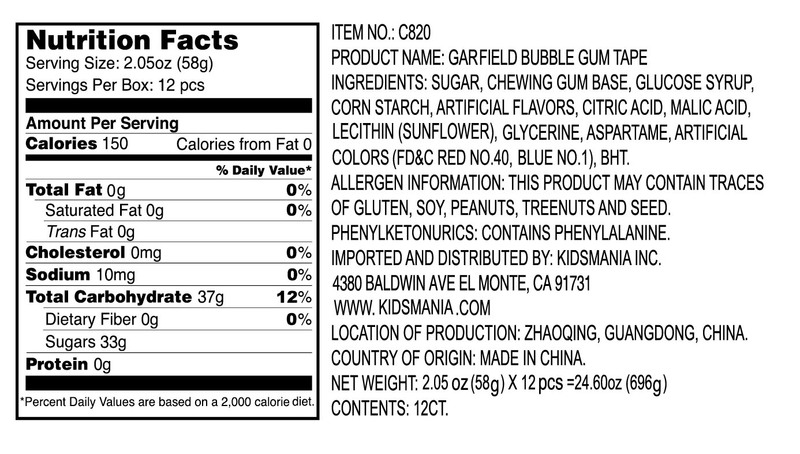 Kidsmania® is a seasoned manufacturer of candy novelties, pushing the boundary of innovation in both candy and toys, while focusing on maximizing our products' play value with our consumers in mind.